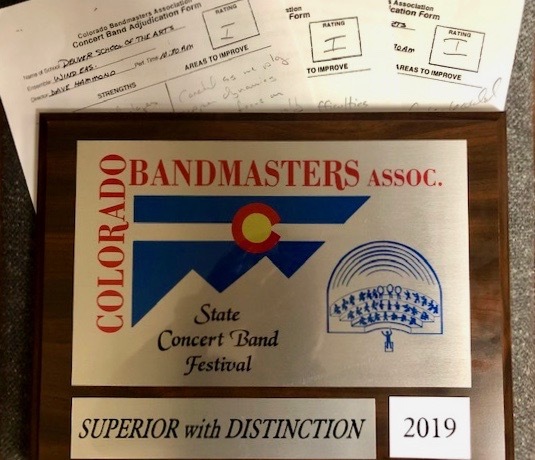 The Denver School of the Arts Concert Band competed on April 19 and received an “Excellent” rating. 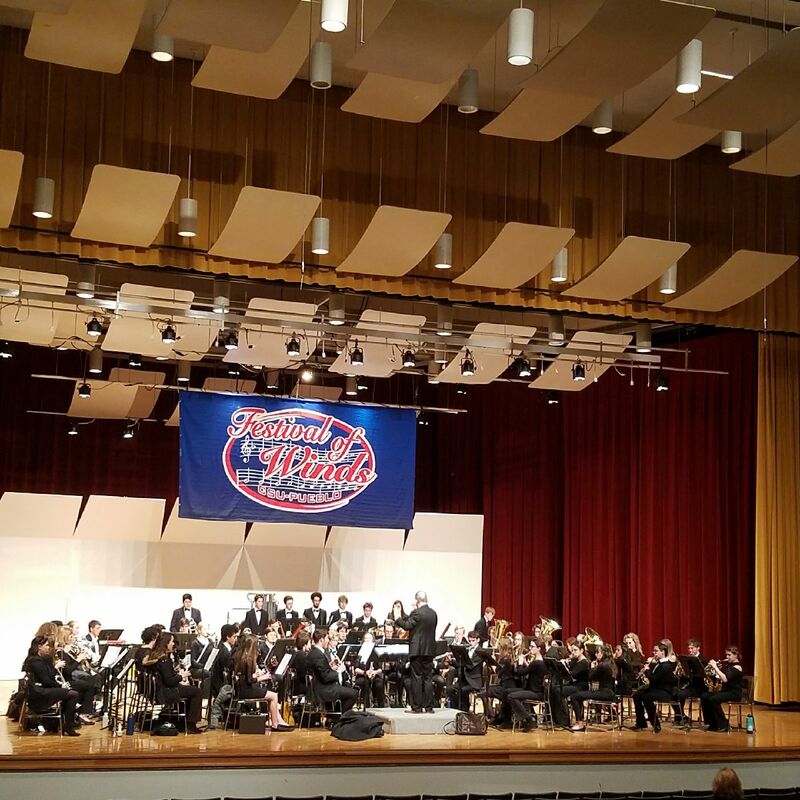 Wind Ensemble competed again at the State Concert Band contest on April 16 and received a “Superior with Distinction” rating – the highest rating available. 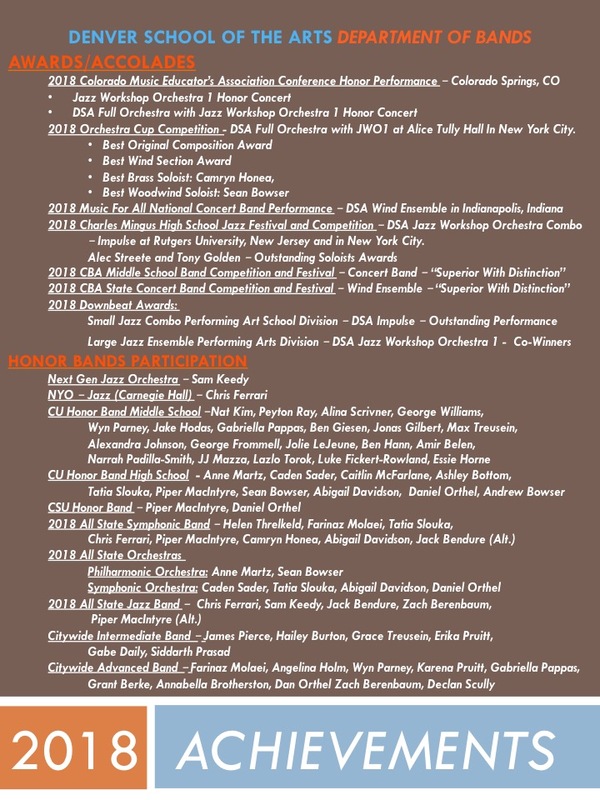 Congratulations to the students of the ensembles and the hard work they put in! 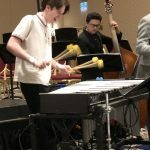 The Jazz Workshop Orchestra1 will head to New York City again this year to compete with 15 of the best high school big bands in the country performing the music of Duke Ellington. 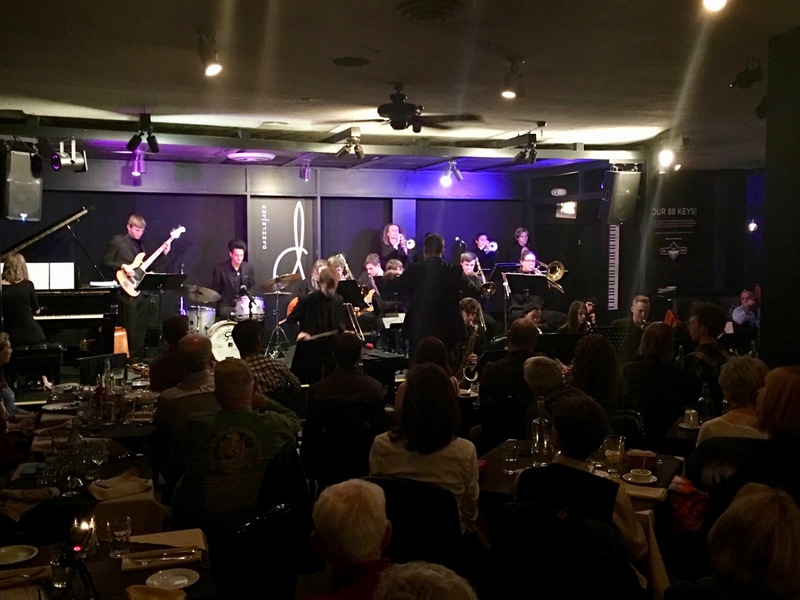 The trip will be held at the Jazz at Lincoln Center in Columbus Circle May 8-12. 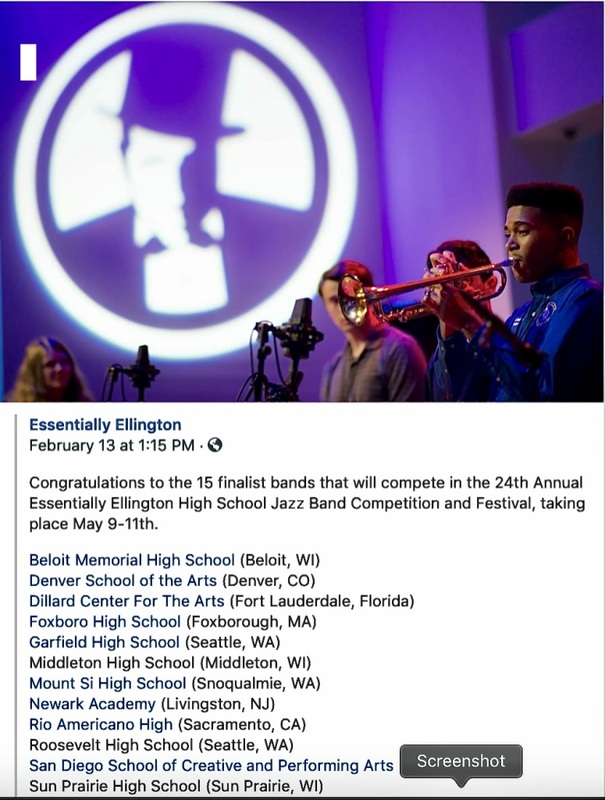 Directed by the renown trumpeter and jazz educator Wynton Marsalis, the festival has the reputation of being one of the best and most rigorous student competitions in the country. 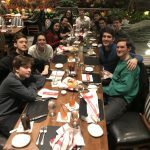 Dinner with All State Jazz and the DSA Combo. 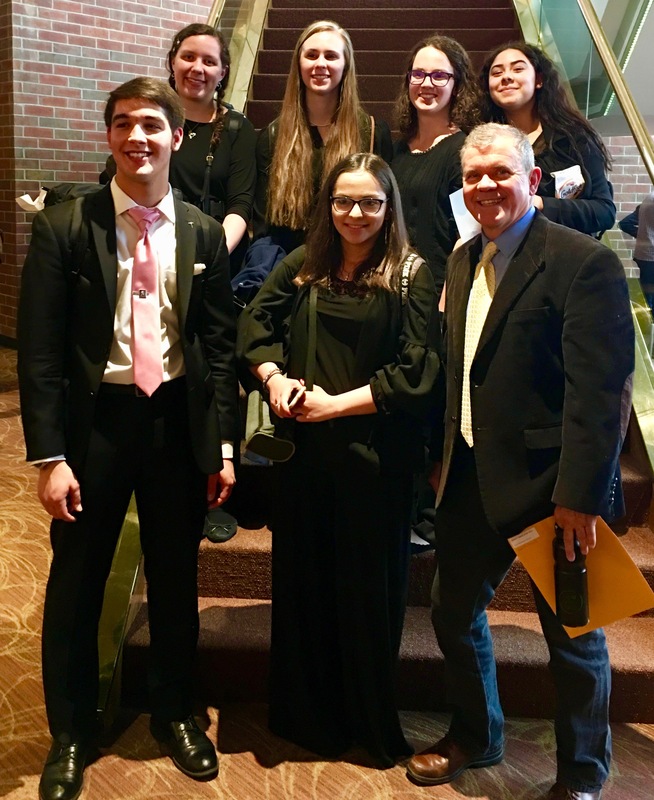 The DSA Pit Orchestra again performed 8 phenomenally professional Shrek shows elevating the all school musical to new heights. 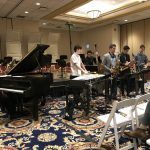 The show was featured at the DSA Gala on Saturday, September 22nd along with the DSA Wind Ensemble – both performed to rave reviews to a very knowledgeable, elite crowd. A big thank you going out to both groups for their continued commitment to excellence! 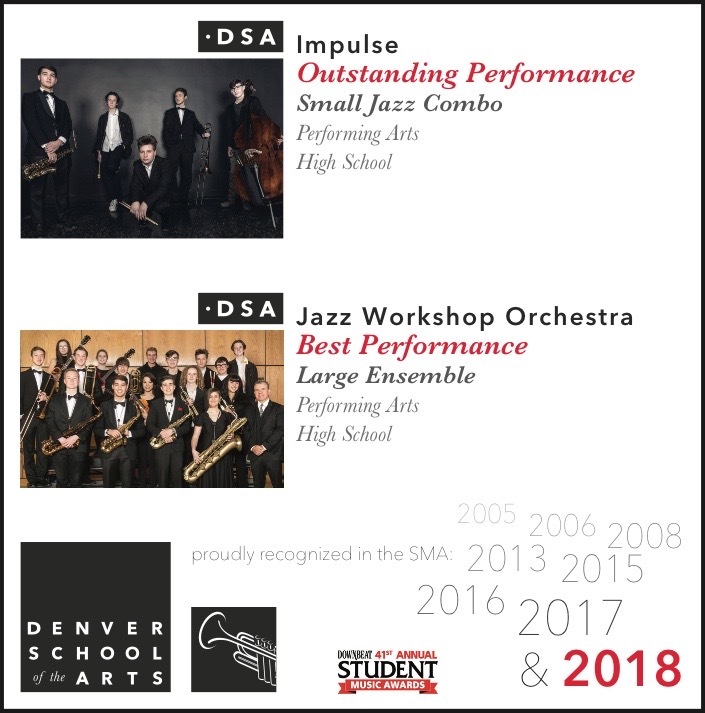 Congratulations DSA Band Department Seniors! 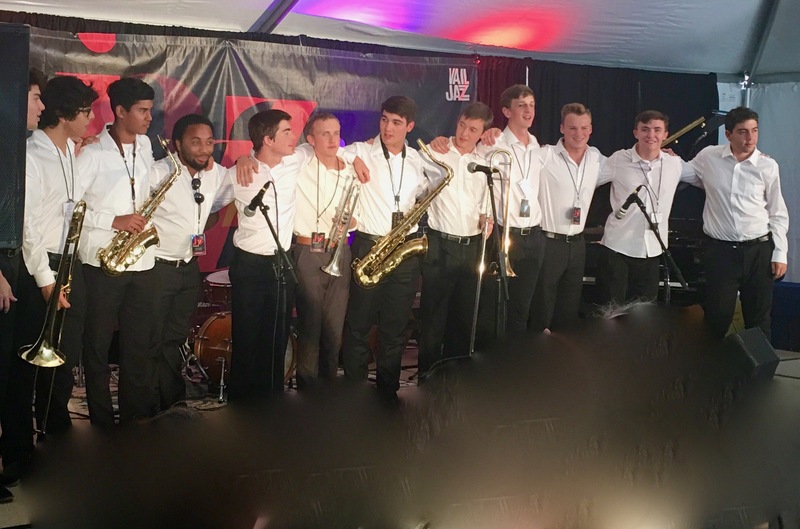 The 2017 Vail Jazz All Stars including Tony Golden (second from right), Sam Keedy and Chris Ferrari (5th and 6th from right) take a final bow for the week. 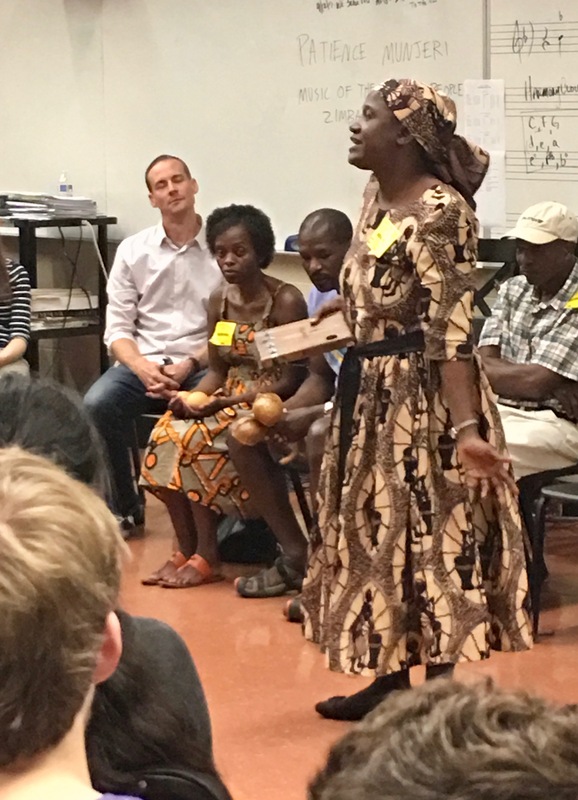 September 8th DSA hosted Zimbabwean Mbira master Patience Munjeri in a master class that offered advice in music and in living life – a truly unique experience for DSA band students. 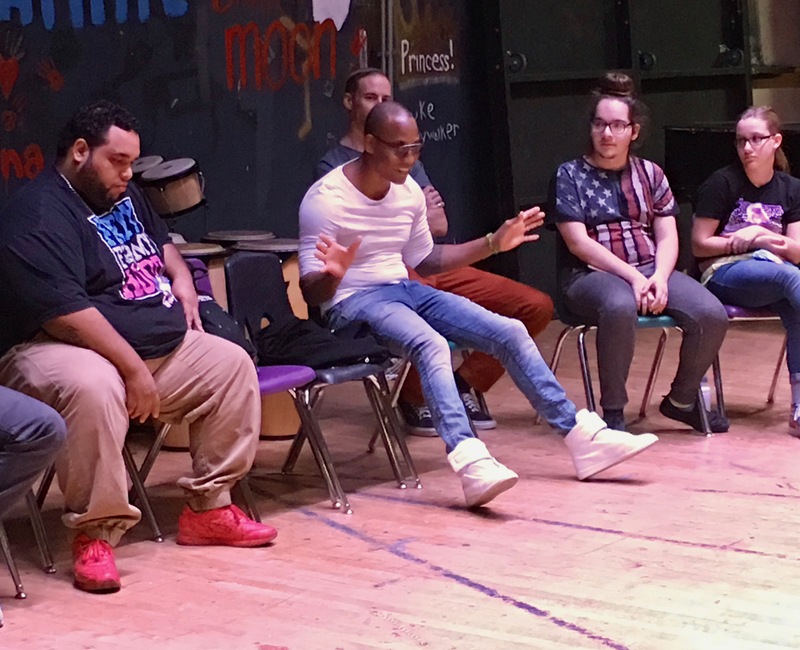 On September 13th DSA Percussionists and JWO members had the opportunity to meet and experience a master class with Percussive Arts Society’s “Best Percussionist in 2017”, Cuban born congero Pedrito Martinez and his band. 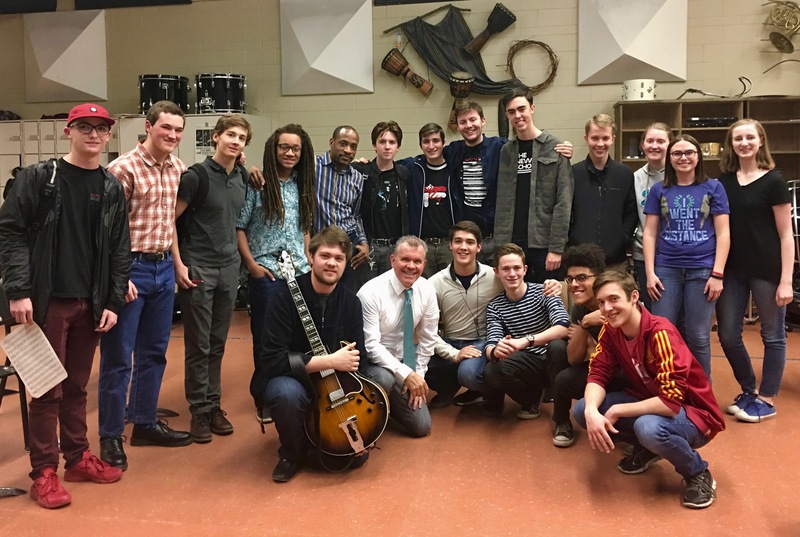 Pedrto Martinez and his band pose with DSA Band students and DSA percussion practicing artist Greg Harris. 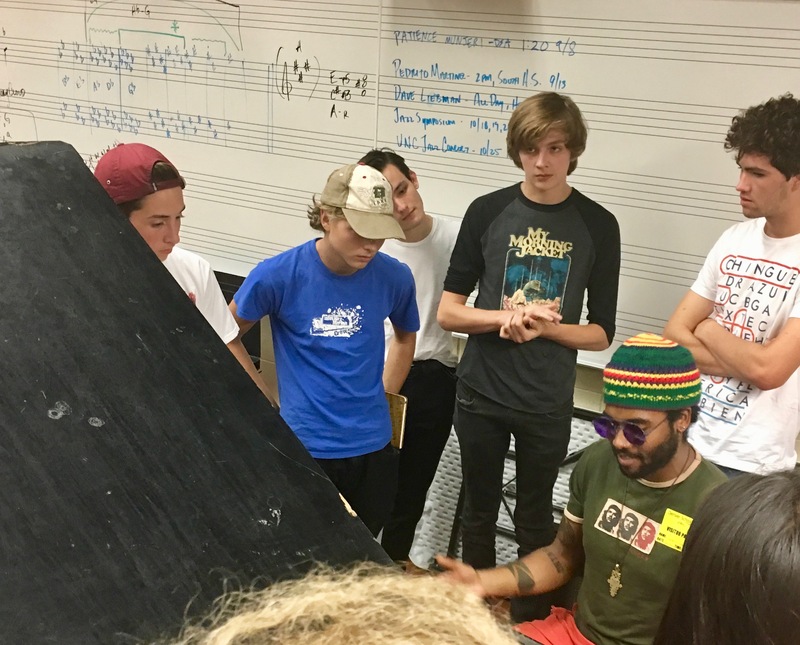 Pedrito Martinez (center) and fellow band mate Jhair Sala (left) lay some serious instruction down on musicians of DSA and South. 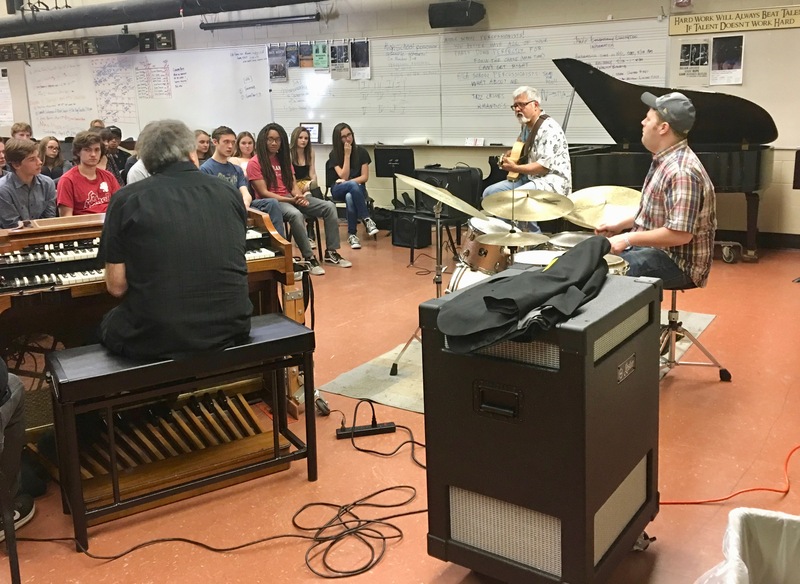 On September 14th DSA hosted pianist Emmet Cohen and his band Russell Hall (Bass) and Kyle Poole (Drurms) to play for DSA students and to clinic the DSA JWO jazz combo. 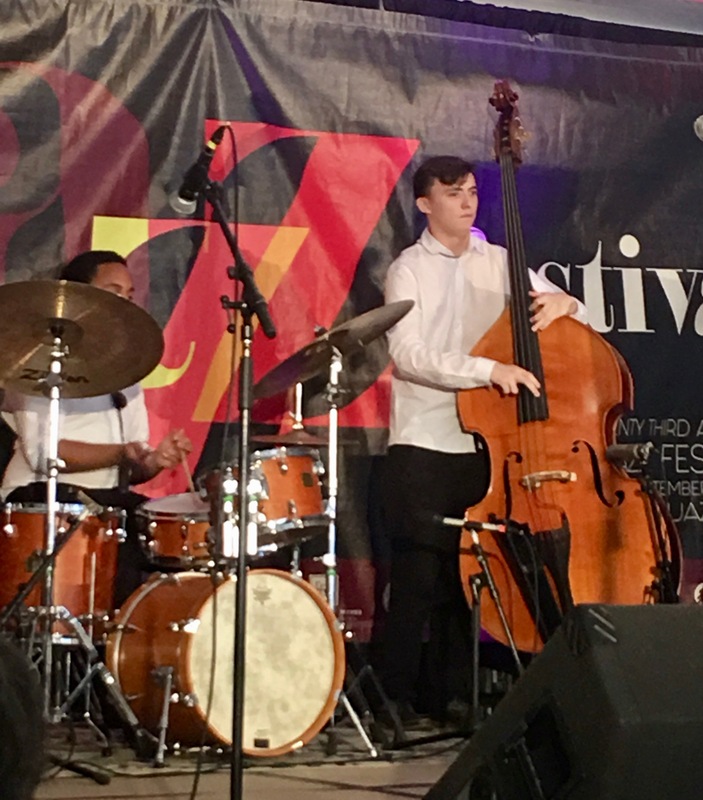 Emmet Cohen (piano), Russell Hall (bass) and Kyle Poole (drums) perform with DSA students Chris Ferrari, Sam Keedy and Alec Streete. 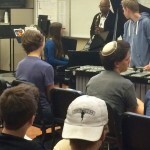 Russell Hall gives students a personal harmony lesson after the master class. 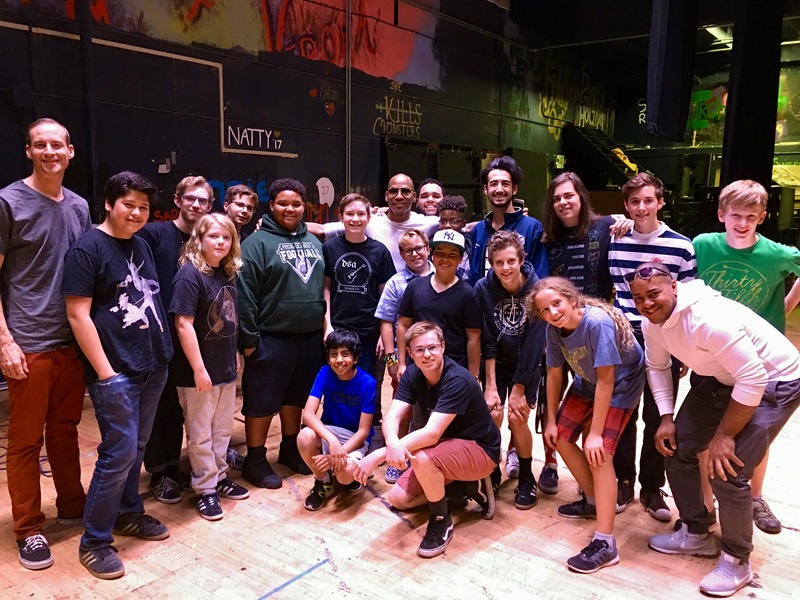 Since the before the beginning school the DSA Pit Orchestra has worked tirelessly to rehearse then to perform 8 shows of “In the Heights”, this year’s All School Musical. 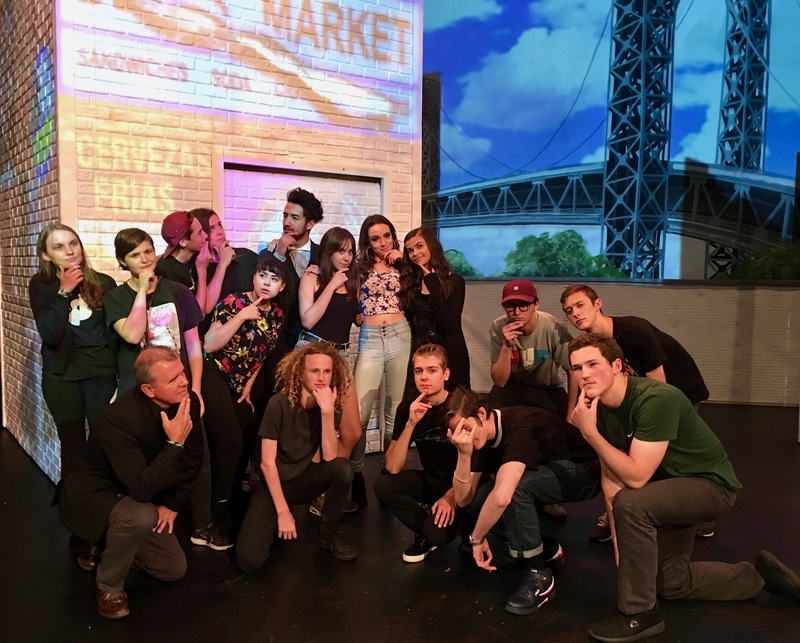 The production was tremendous in that it focused on DSA’s students of color and also presented the pit with great opportunities to learn many styles such as mambo, reggaeton, merengue and salsa! 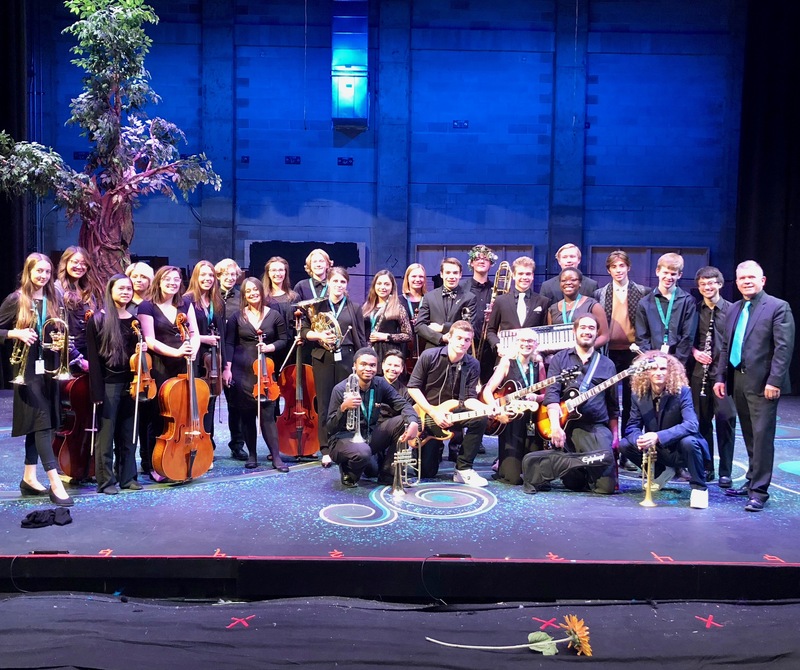 The DSA Pit Orchestra poses after closing night of “In the Heights”. 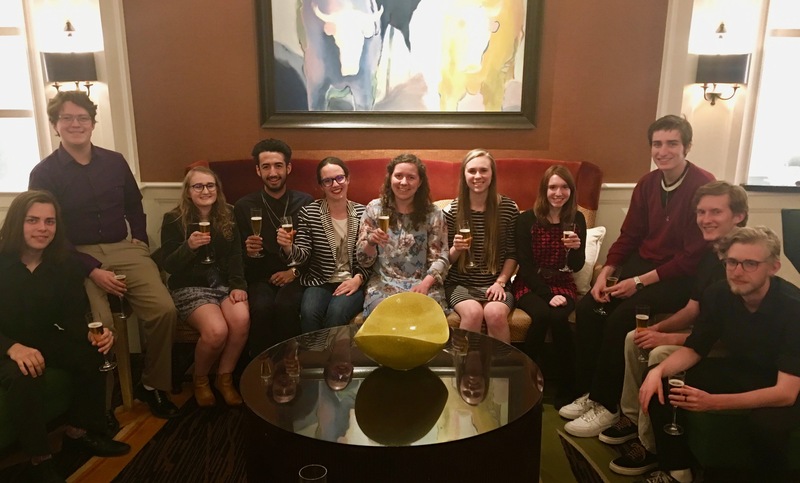 News and Events from this year! 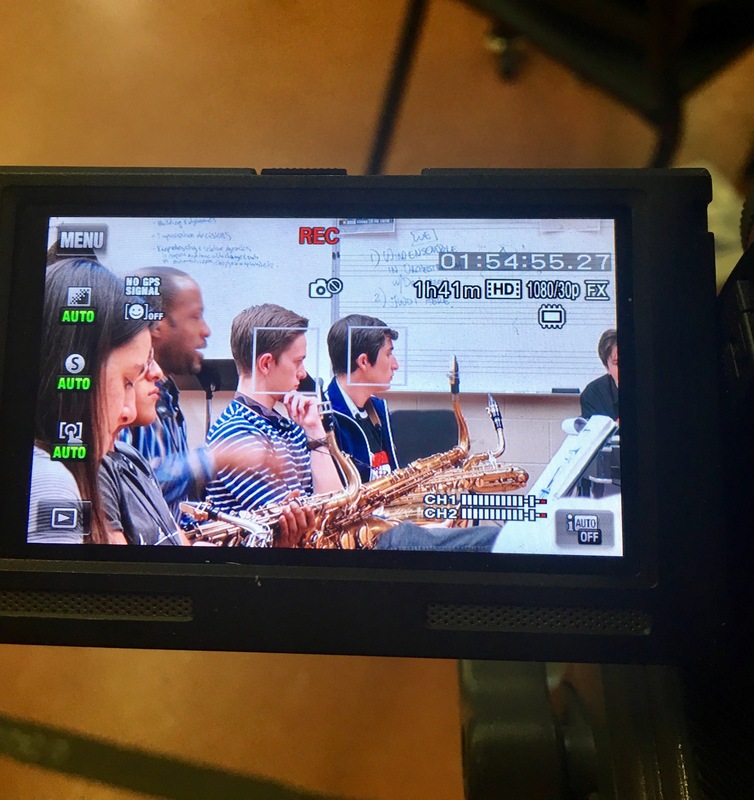 See a video about the Jazz Workshop Orchestra and other schools deep in the teaching of jazz music from Rocky Mountain PBS’s “Arts District” show. 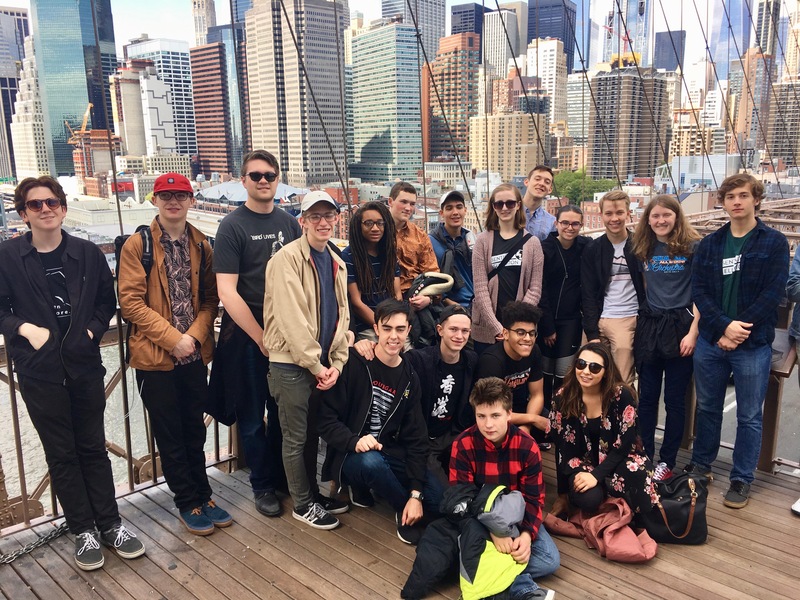 The Jazz Workshop Orchestra poses on the Brooklyn Bridge in New York after winning second place at the Essentially Ellington High School Jazz Festival and Competition in New York City. 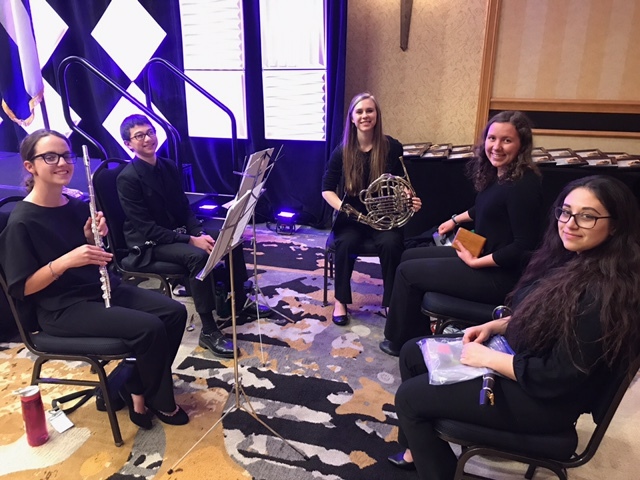 The DSA Woodwind Quintet sets up to play at the Colorado Youth Leadership Awards Ceremony. The Mayor recognized the group at the event. JWO2 plays Dazzle on 5/1/17. 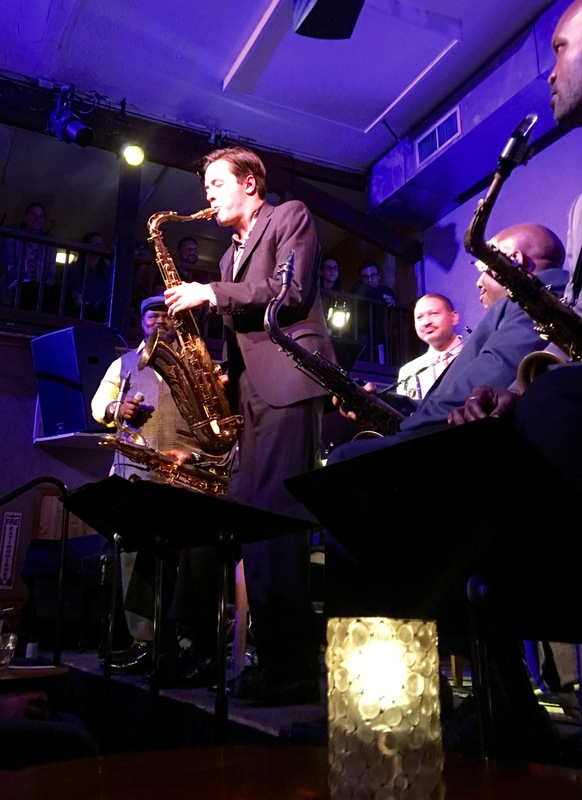 This will be the last performance of the bands at this Dazzle location. 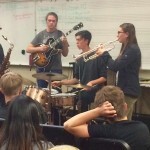 The Jonathan Kreisberg trio plays for DSA students 5/1. 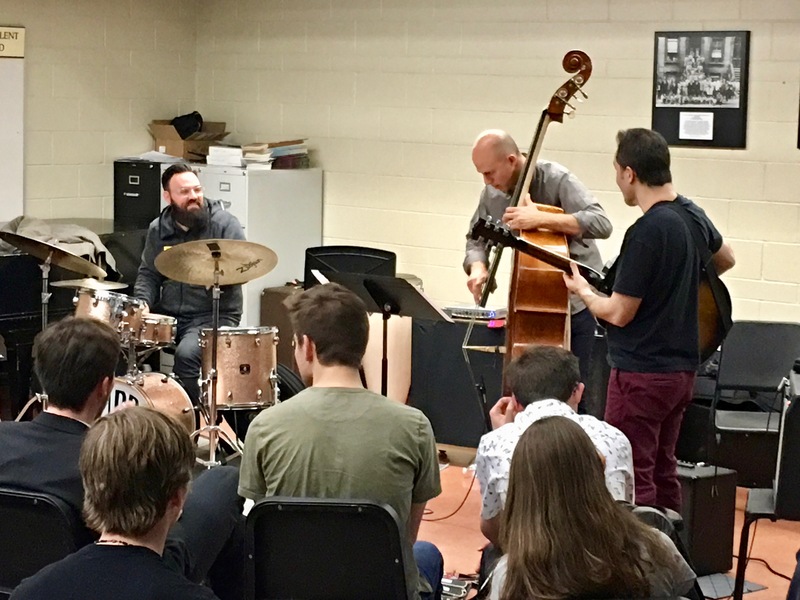 DSA Alum Colin Stranahan ’05 was playing drums. 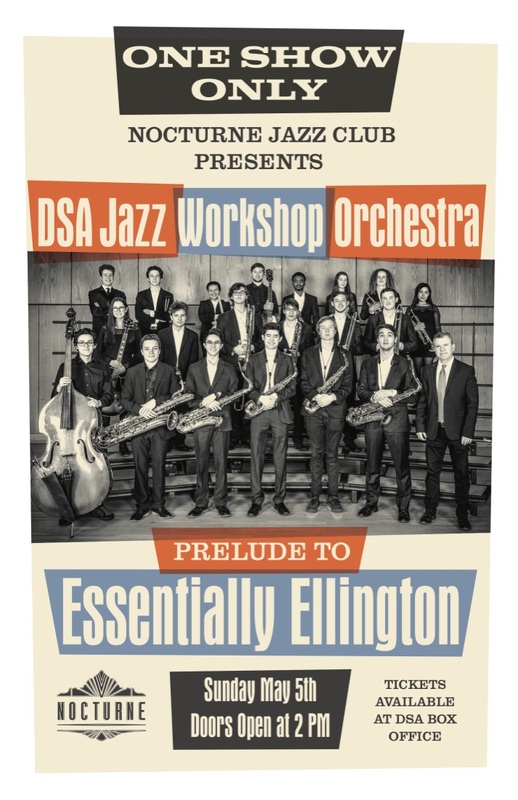 DSA Jazz Workshop Orchestra poses after the Essentially Ellington Clinic with Walter Blanding 4/13/17. 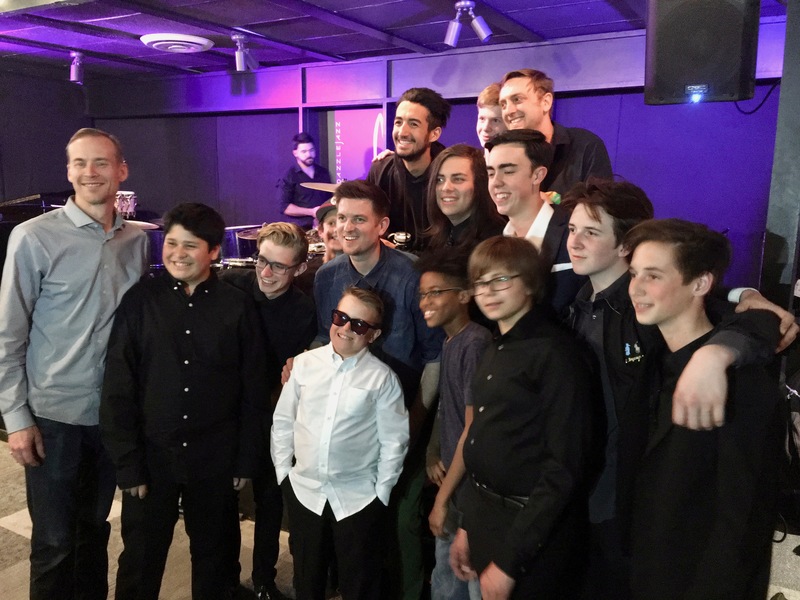 Part of the DSA Percussion Ensemble poses with renowned percussionist Nate Werth (Snarky Puppy) after the show at Dazzle (4/12/17). 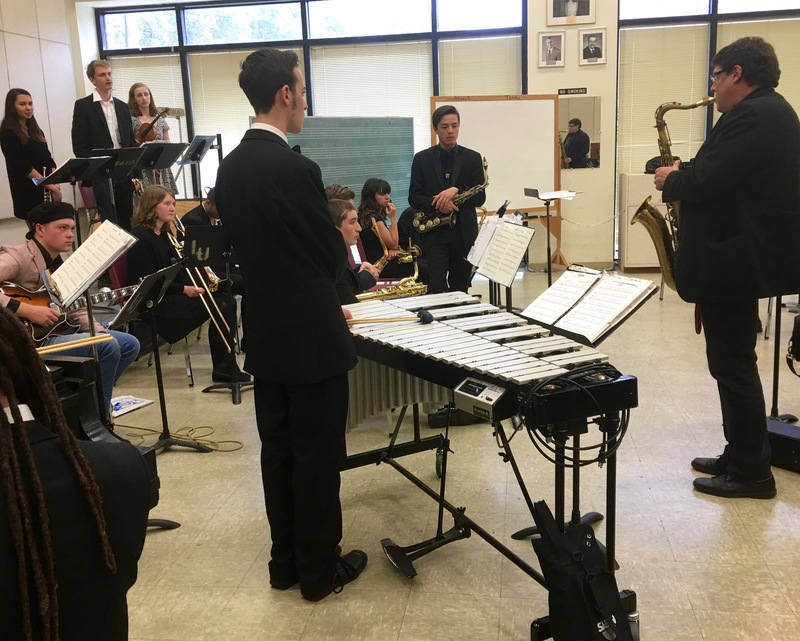 The Fareed Haque/Tony Monoco Trio plays for the band students at DSA (4/18/17). 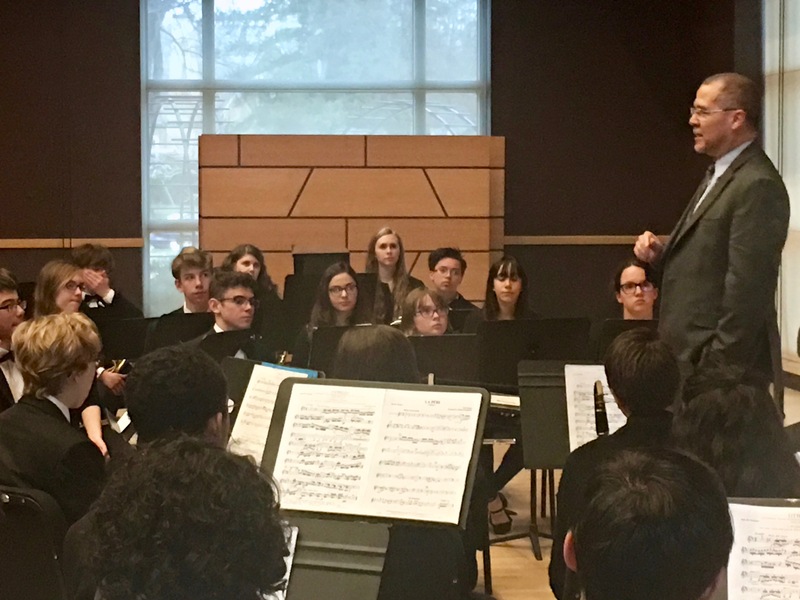 Dr. David Kish works with the Wind Ensemble after their performance at CSU’s Griffin Hall. 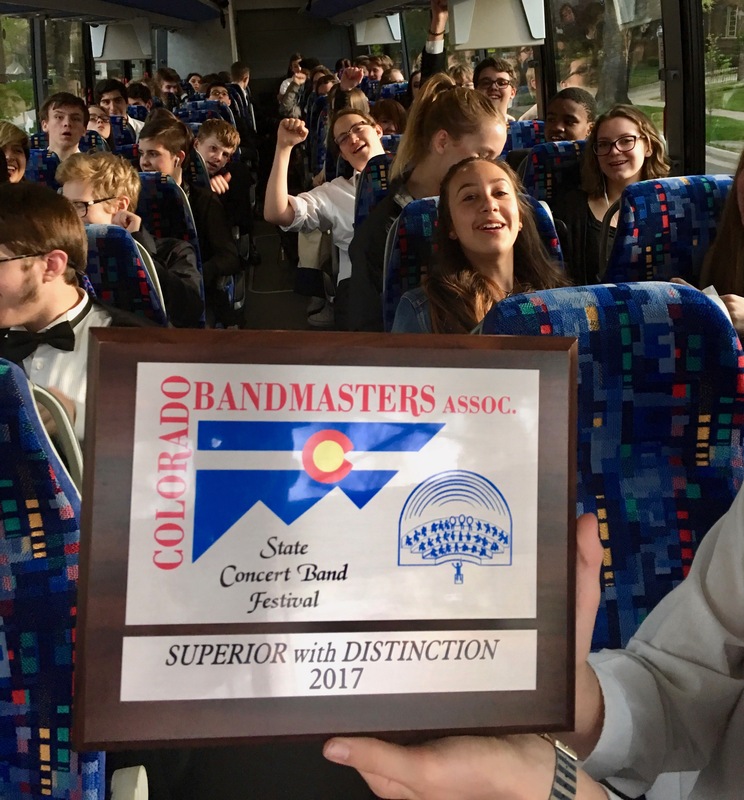 The Wind Ensemble celebrates on the ride home after the performance. 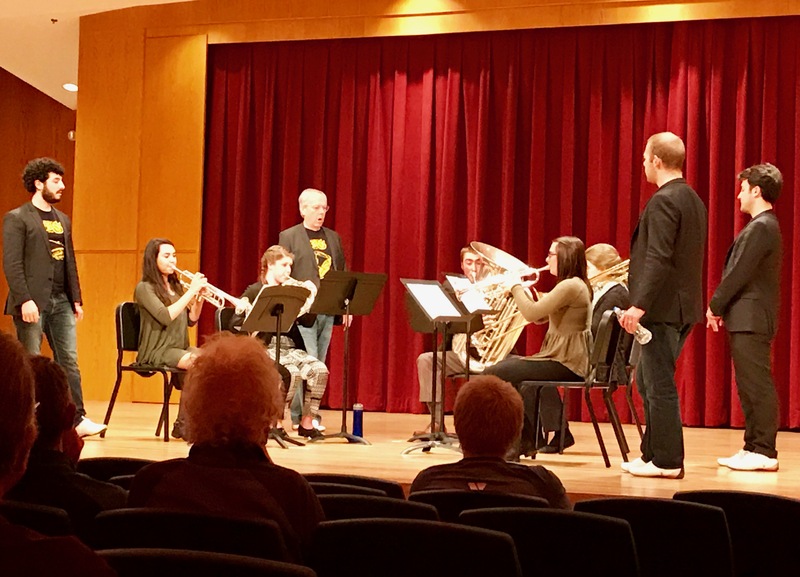 Members of the DSA Brass Quintet perform in Master class under the watchful eye of the famed Canadian Brass at the University of Colorado at Boulder 1/29/17. 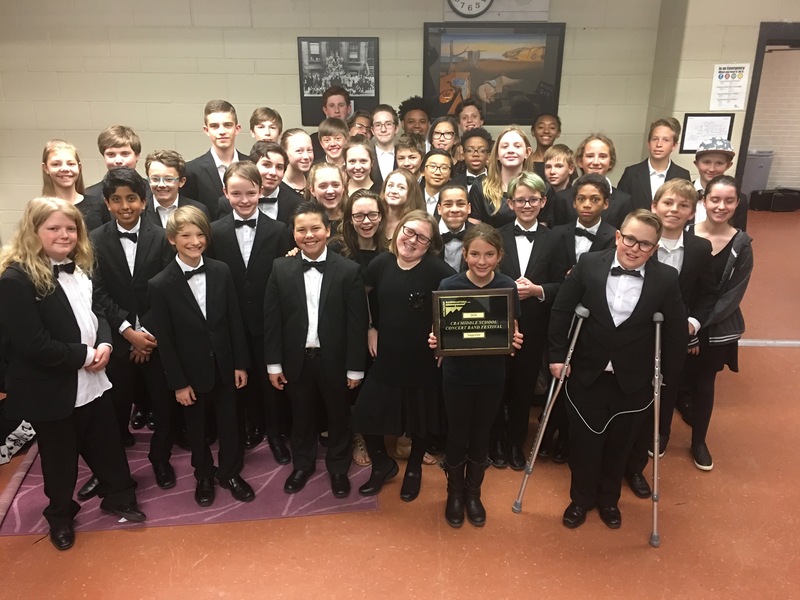 The Jazz Workshop Orchestra poses for the official picture at the 70th Annual Midwest Band and Orchestra Festival, 12/16/16. 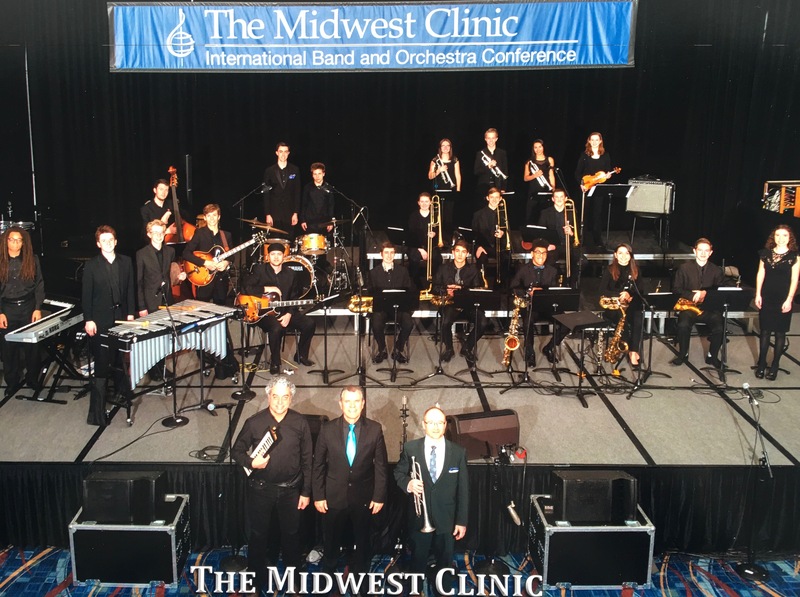 DSA Jazz Workshop Orchestra winds up their set at the 70th Annual Midwest Band and Orchestra Clinic in Chicago, IL Friday, December 16th. 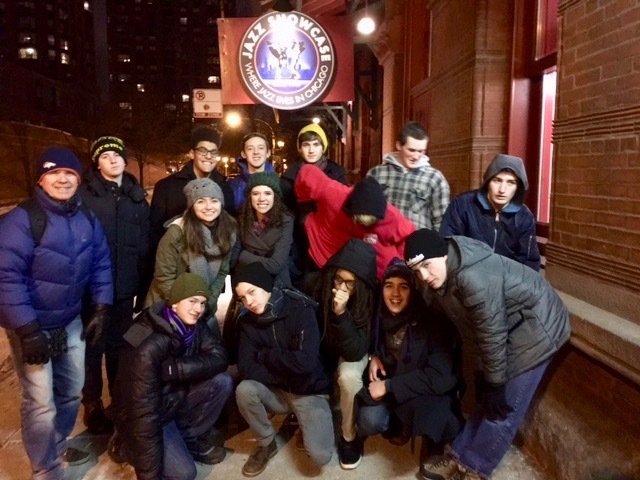 Students of the Jazz Workshop Orchestra brave the cold to see Chris Potter at The Jazz Showcase in Chicago. 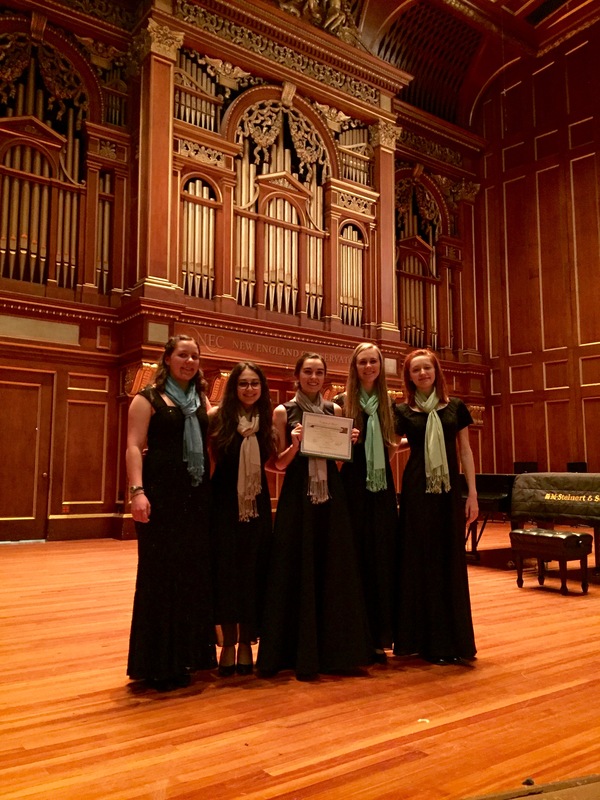 DSA students Abby Davidson, Jenna Pizer and Tatia Slouka performed in the finals of a National Chamber Music Competition at New England Conservatory, Boston. 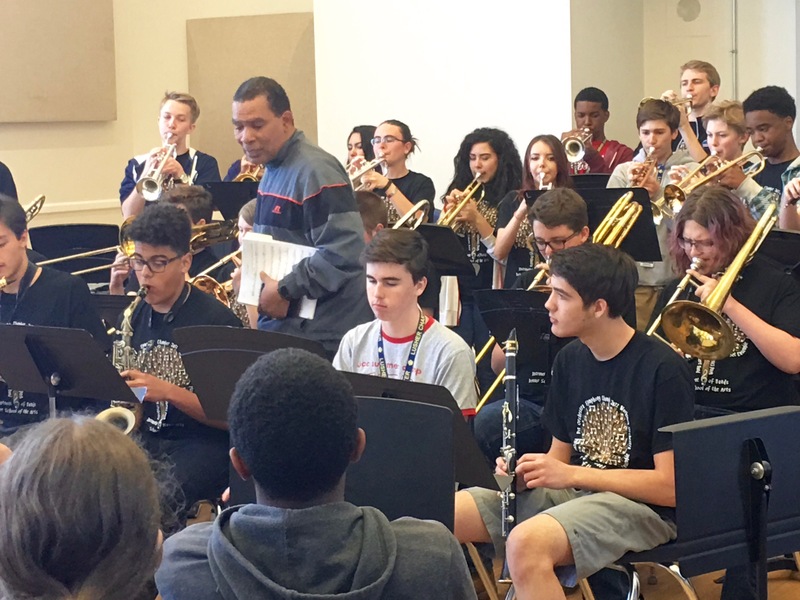 Renowned trumpeter and jazz educator Ron Miles plays with the Jazz Workshop Orchestra. 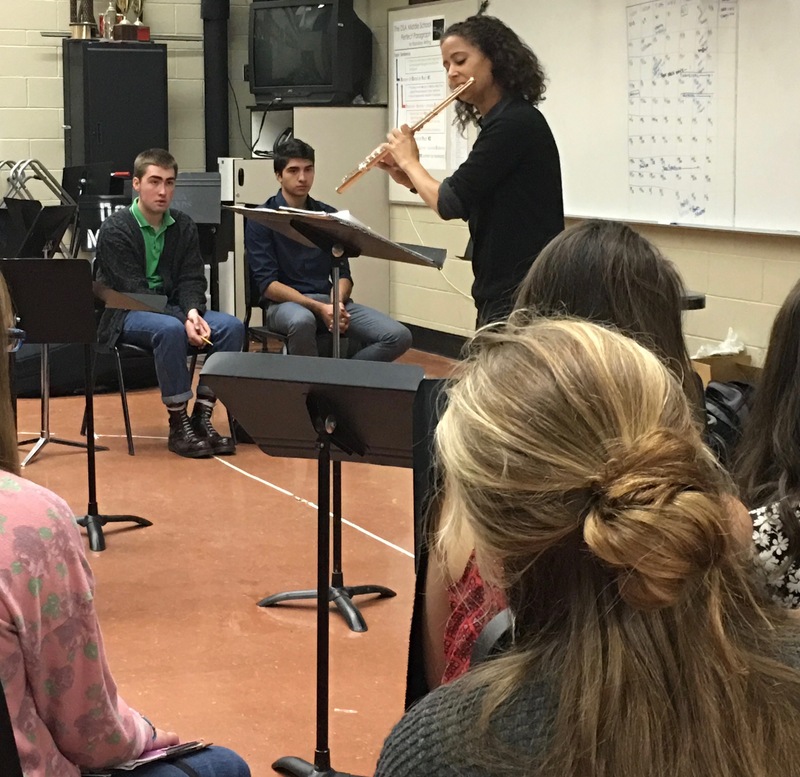 UNLV Flute Professor Jennifer Grimm performs for the Chamber class. 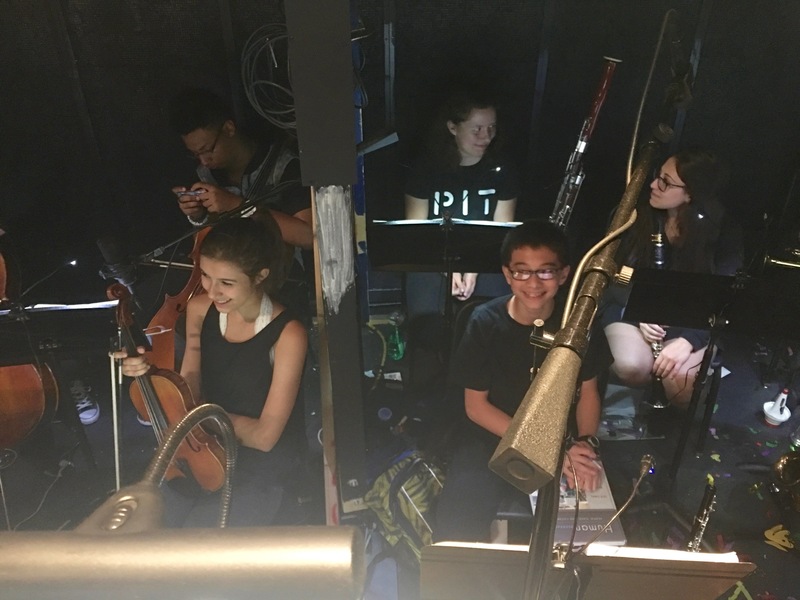 The DSA Pit Orchestra readies for another great show when performing “The Producers”. The show was great and the Pit was fabulous! 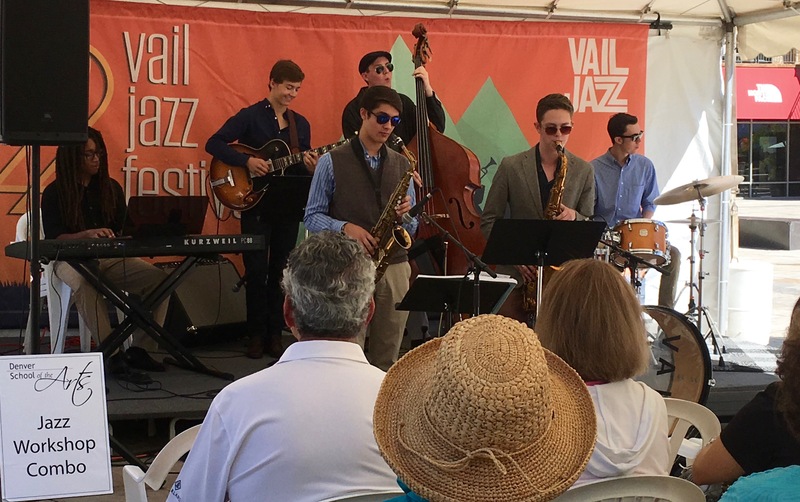 DSA JWO jazz Combo plays the Vail Jazz Festival. 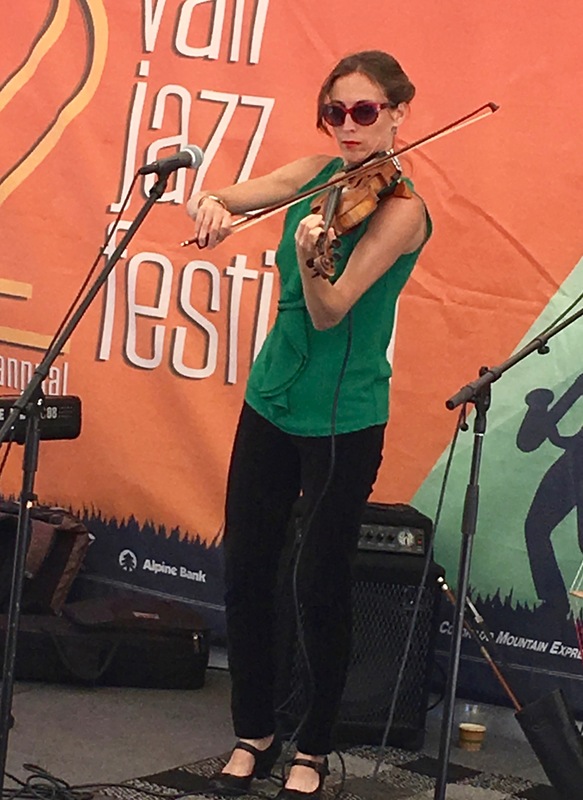 DSA alum Katie Glassman plays Vail Jazz Festival after DSA kids. She is an amazing jazz player/singer. Highlights from the 2015-16 year! 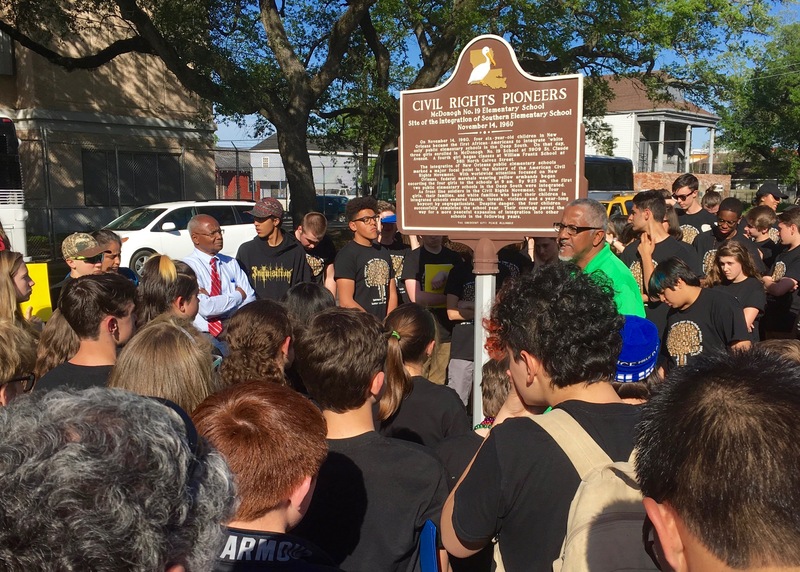 Learning about the civil rights events in New Orleans. 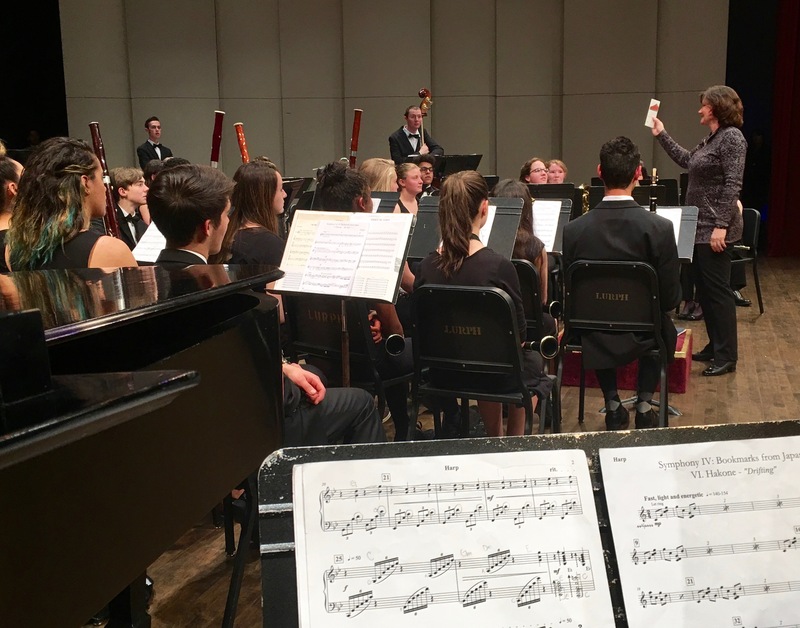 Composer Julie Giroux shows the DSA Wind Ensemble the bookmarks she worked from to compose her symphony. 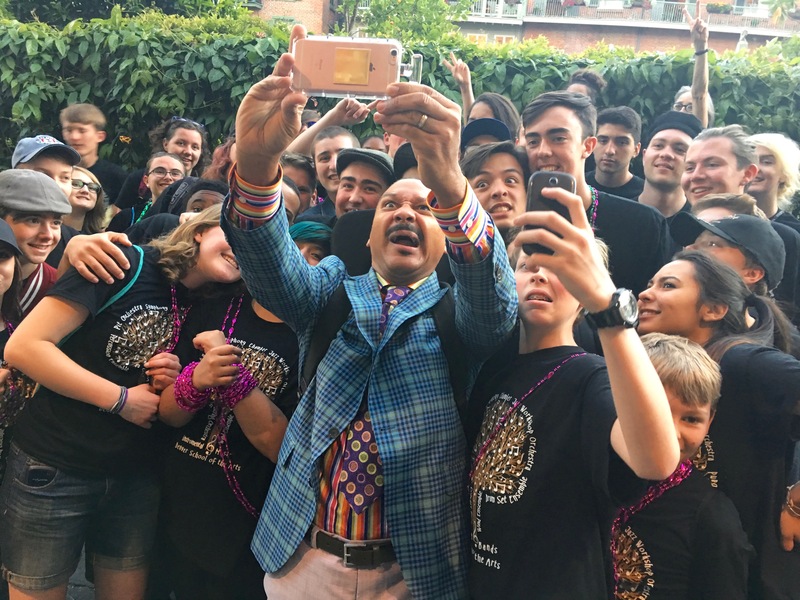 Delfeayo Marsalis pauses in the street to take a selfie with the students after performing at the French Quarter Festival. 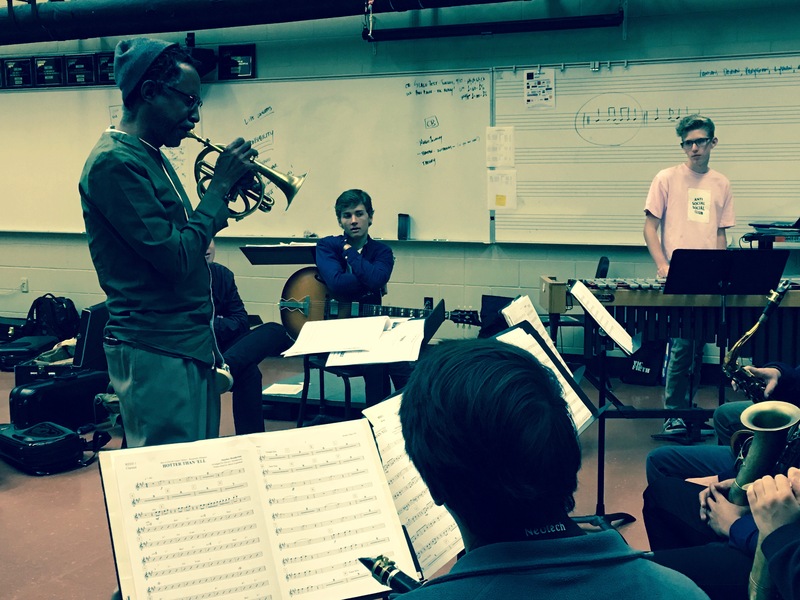 Director of Jazz at Lusher Charter School, Kent Jordan works with a mix of DSA and Lusher students on a jam tune. 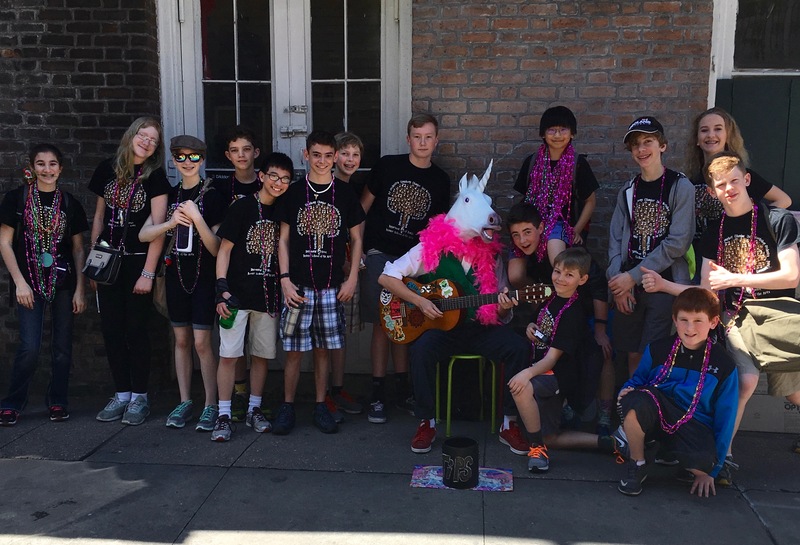 DSA students sit in with a guitar playing unicorn during French Quarter Fest. 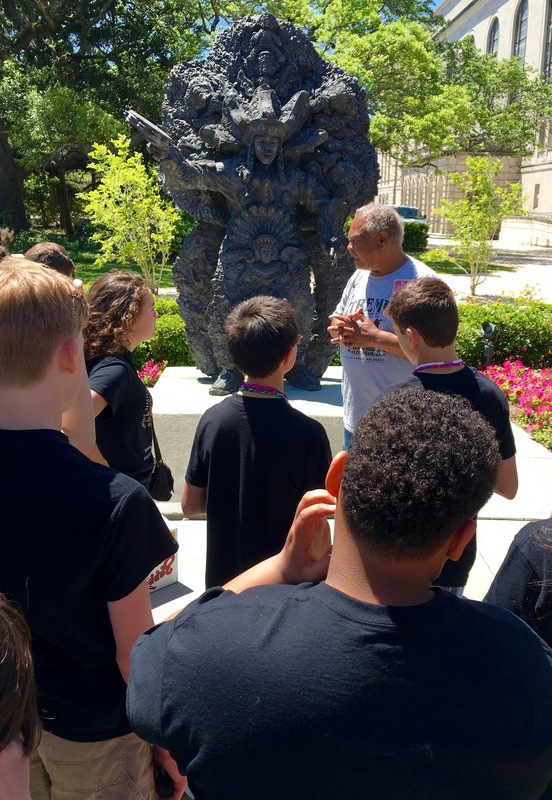 DSA students listen as a guide talkes about Mardi Gras Indians in Louis Armstrong Park. 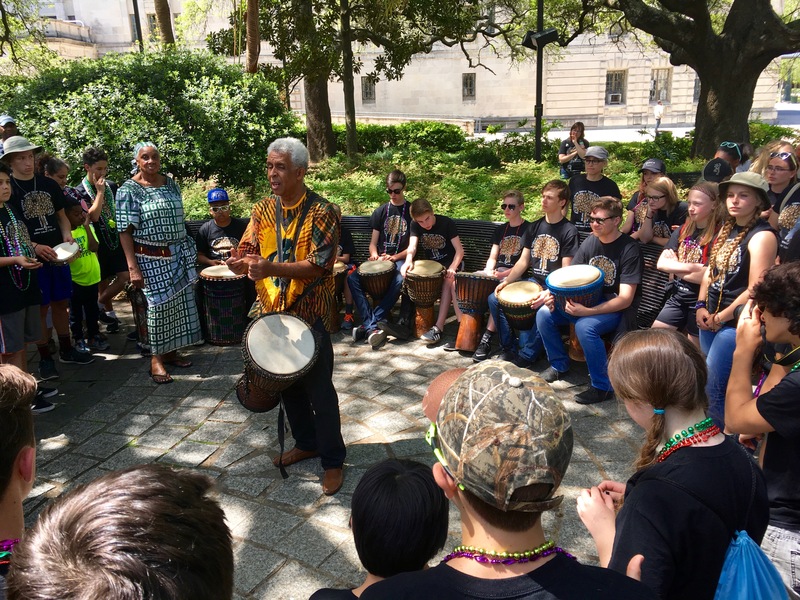 DSA students play african drums and dance in Congo Square. 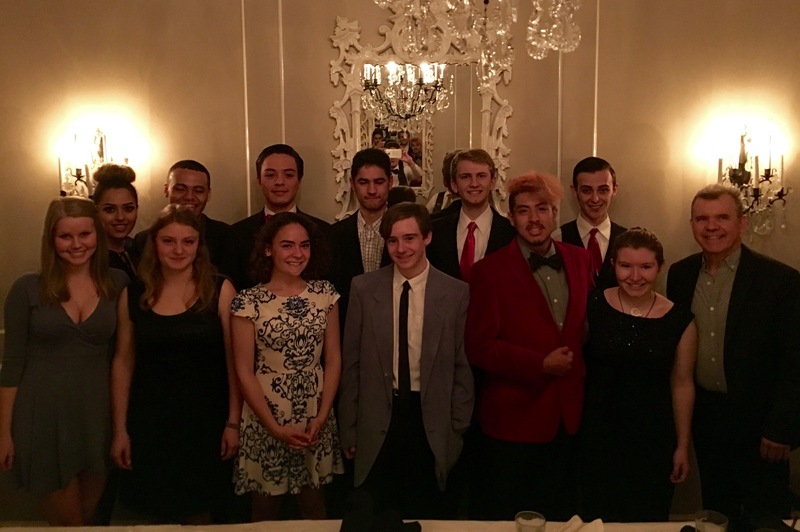 Seniors of the DSA Bands Department after a very beautiful Senior Dinner at Commander’s Palace. 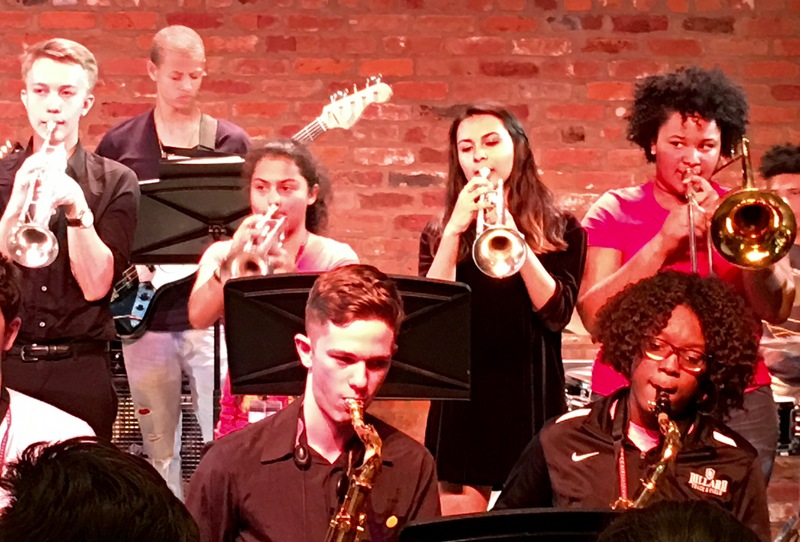 DSA and NOCCA (New Orleans Center for Creative Arts) play together in the finale of the concert there. 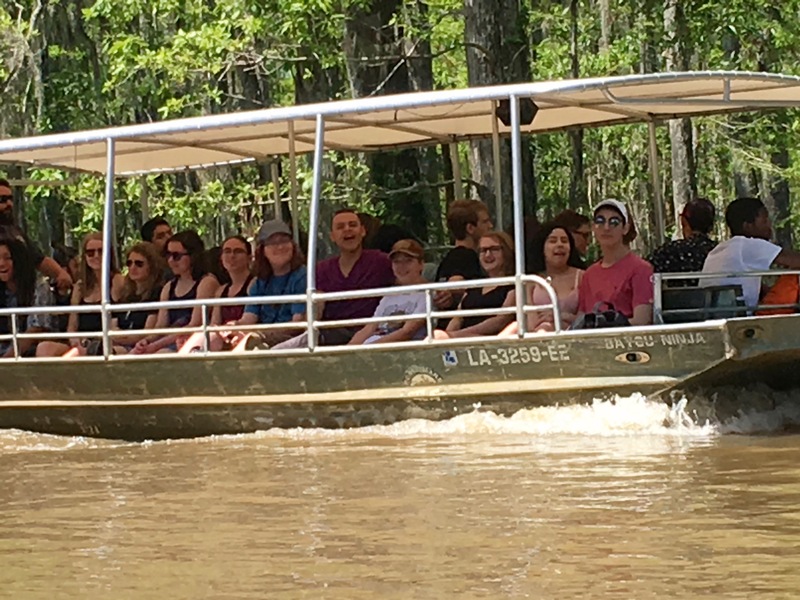 Students enjoy a river cruise in the swamp lands. 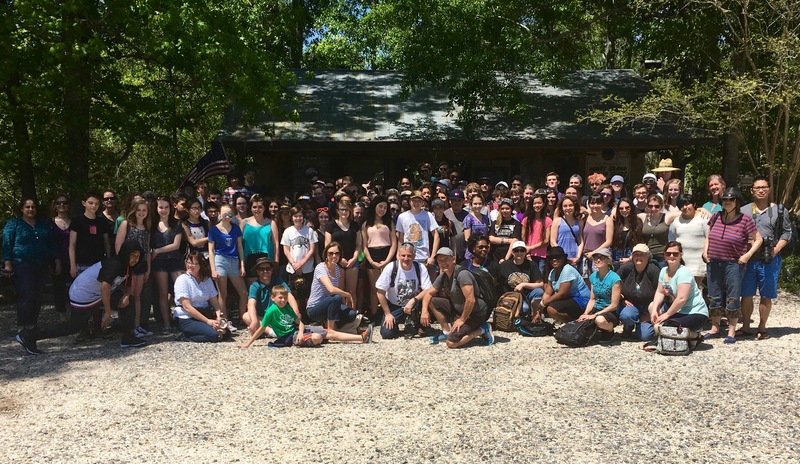 All 127 DSA Band people count fingers and toes after saying hi to the aligators of Louisiana. 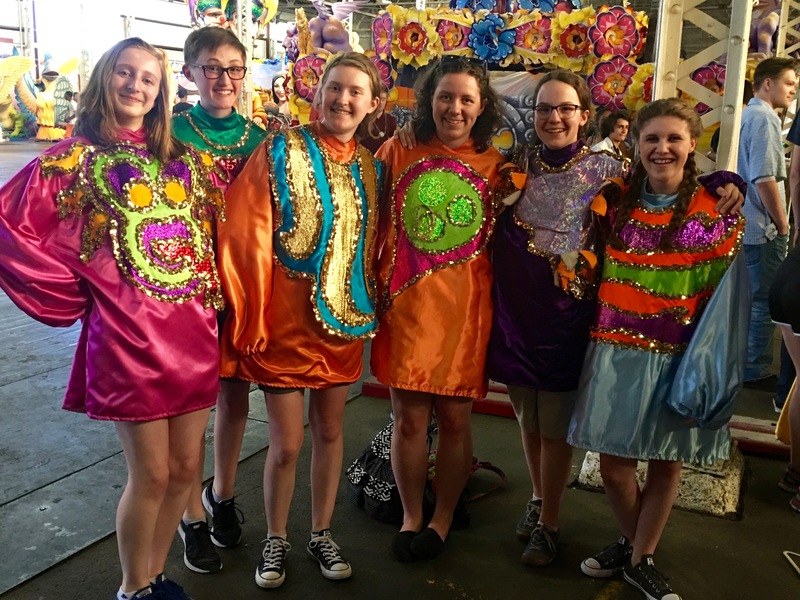 DSA Band students play dress up at Mardi Gras Worls while learning about the tradition. 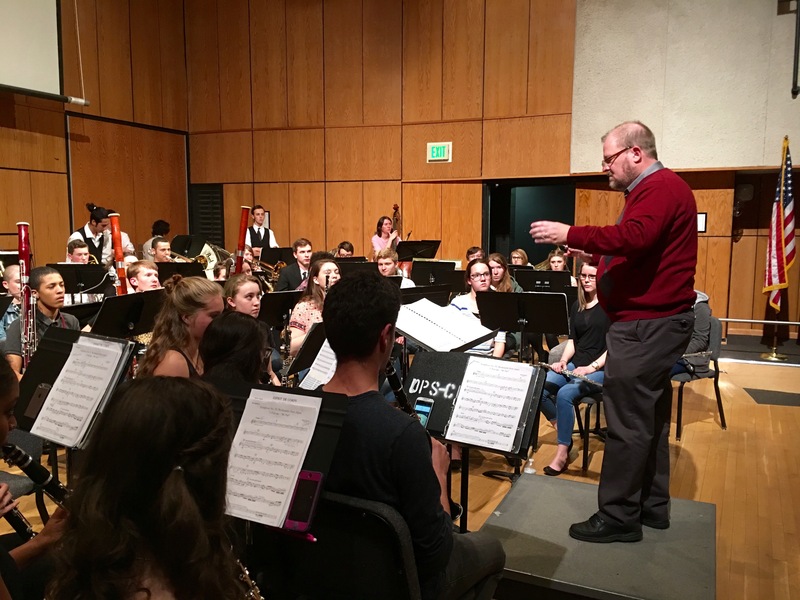 Dr. James Lambrecht, Director of the Augustana Symphonic Band works with the DSA Wind Ensemble before the concert. 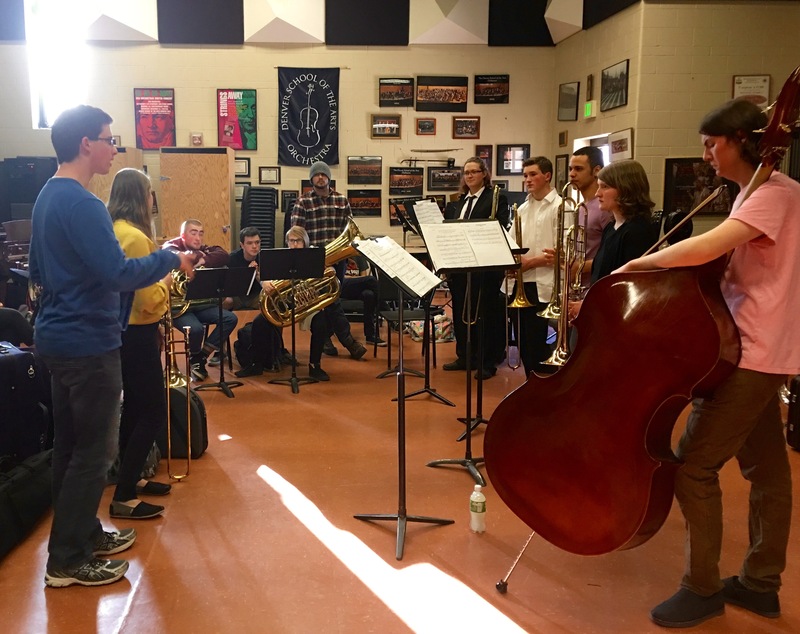 Members of the Augustana Symphonic Band work with DSA Band students in sectional before the concert. 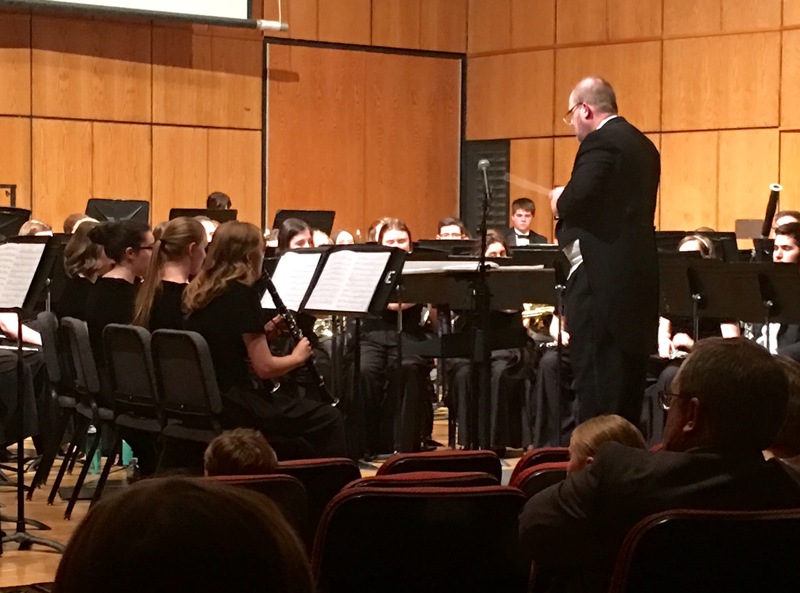 Dr. James Lambrecht conducts the Augustana College Symphonic Band in Concert. 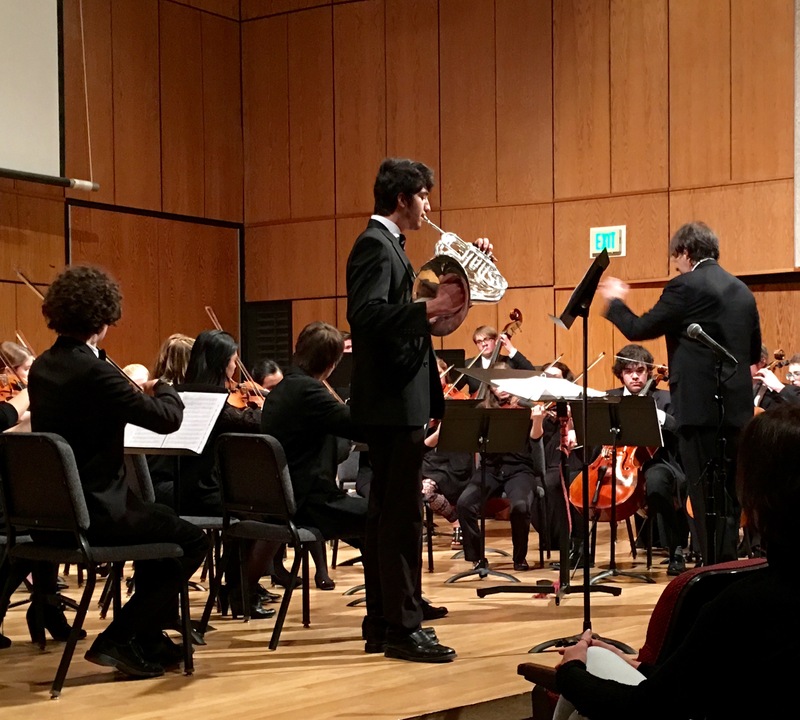 Eli Castro performs at the Concerto Concert 2/26/16. Gabrielle Costache performs at the Concerto Concert 2/26/16. 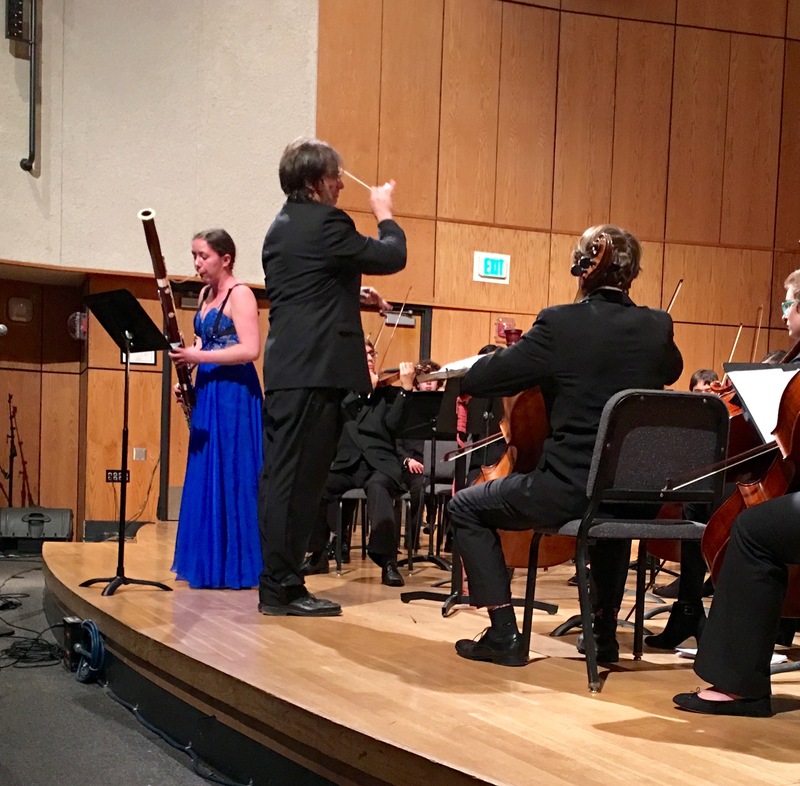 Tatia Slouka performs at the Concerto Concert 2/26/16. 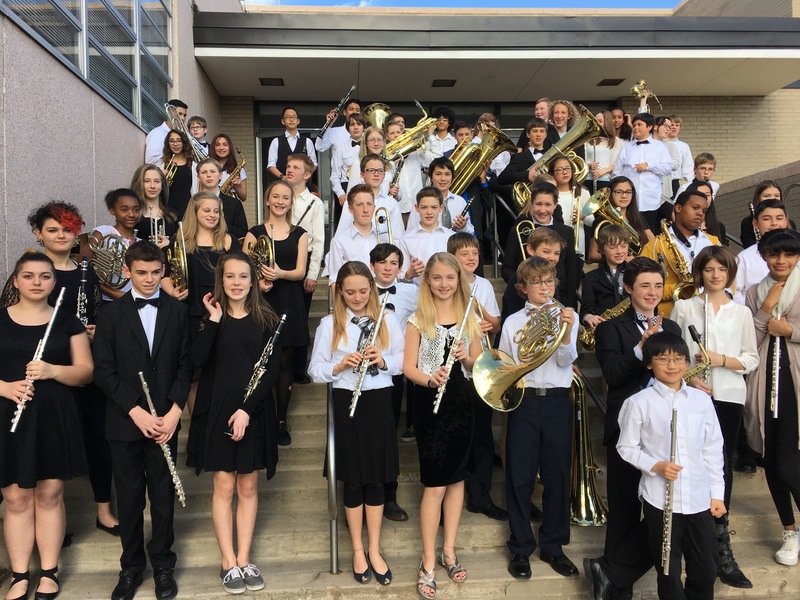 DSA Middle School Band students pose with other students from DPS Schools at the Denver Citywide Honor Band event on Saturday, 2/20. 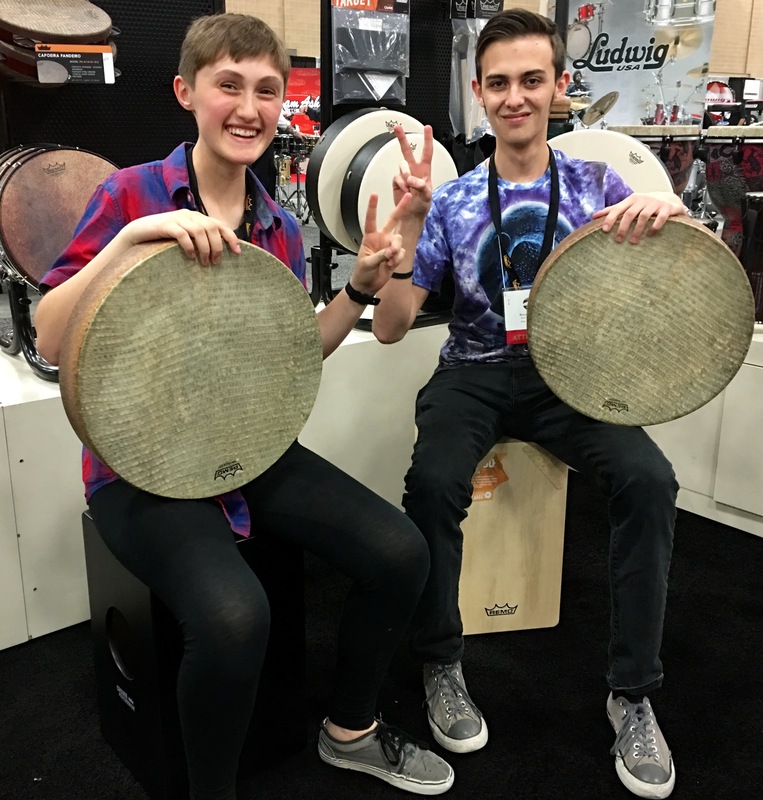 On a recent trip to the Percussive Arts Society convention in San Antonio, TX Gabby Costache and Rocco Williams share a moment testing hand drums. 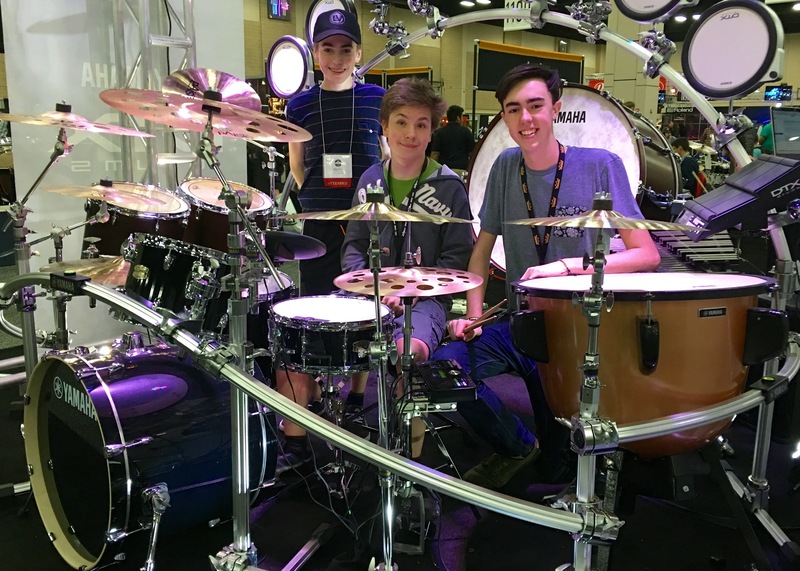 While at the same moment Adam Burton, Aleks Girshevich and Julian Archer check out cool drum sets at the same convention. 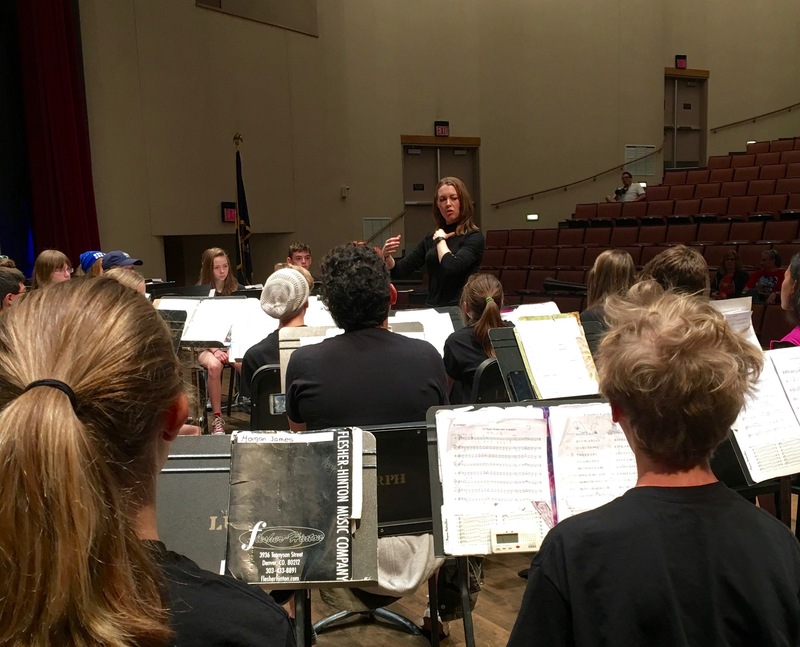 Travel is such an important element in the life of a student musician! 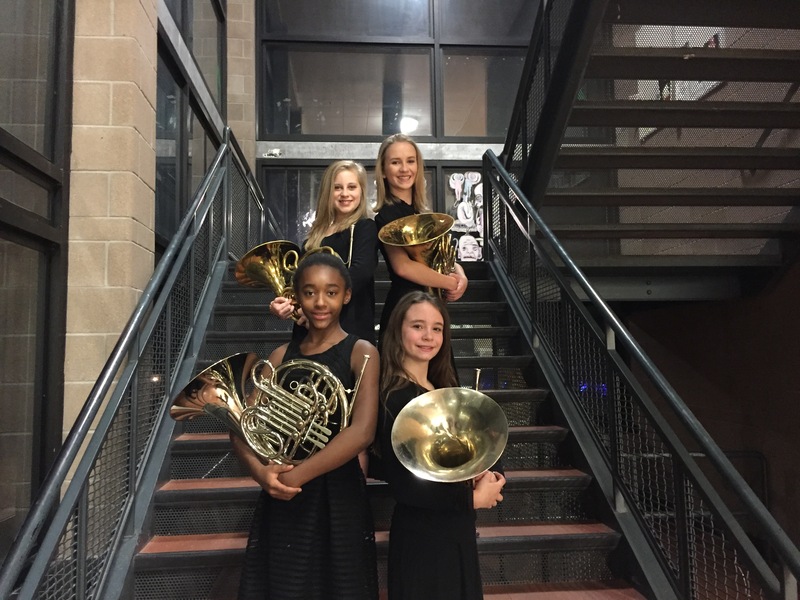 The French Horn section of the DSA Concert Band before the Winter Show dress to impress and then played a beautiful concert. 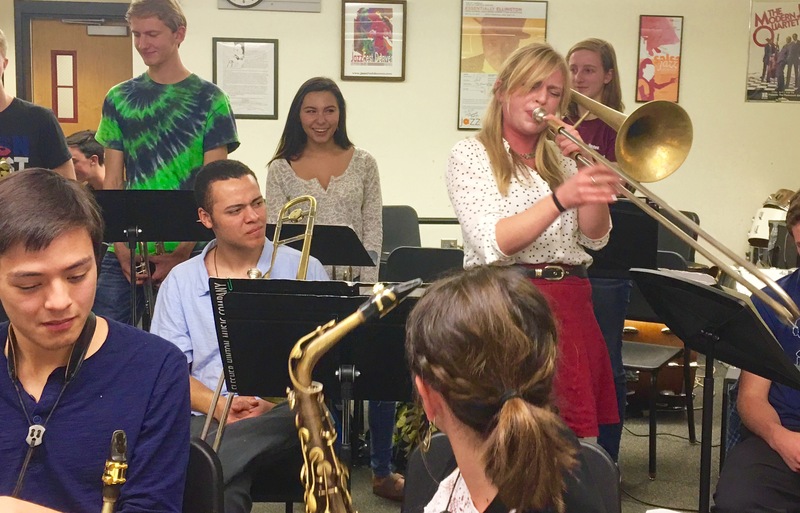 DSA Alumnus Carly Meyers (’06) impresses as she improvises a few choruses. Carly now lives in New Orleans, works as a professional musician and is helping with ideas for the band trip in April! 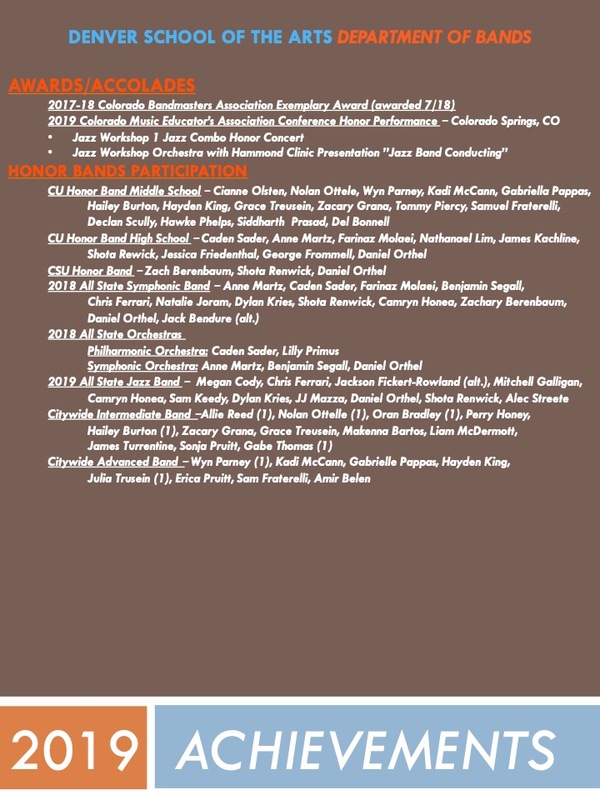 Mr. Hammond and the Denver School of the Arts congratulates the following Band students for their representation in the following All State Ensembles. We are very proud of you! 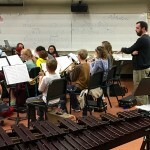 Dr. Scott Muntefering from Wartburg College works with the Concert Band on 10/30. 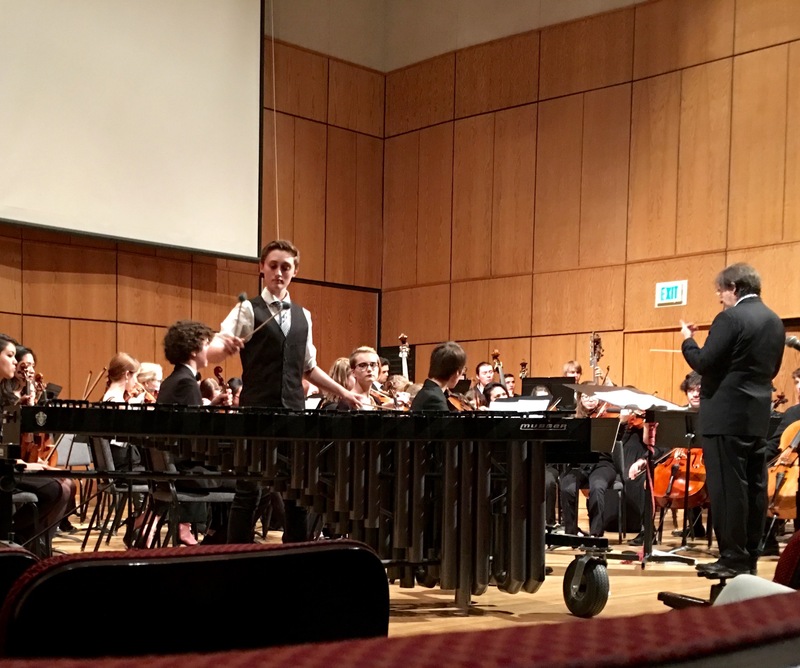 He also worked with the Wind Ensemble. 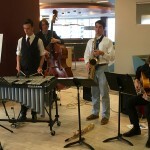 A DSA Combo performs at an accreditation reception at Emily Griffith Technical College. 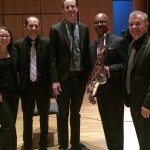 The Artist Concert featuring Greg Osby, Josh Quinlan, Eric Gunnison, Ken Walker and Ed Breazeale. 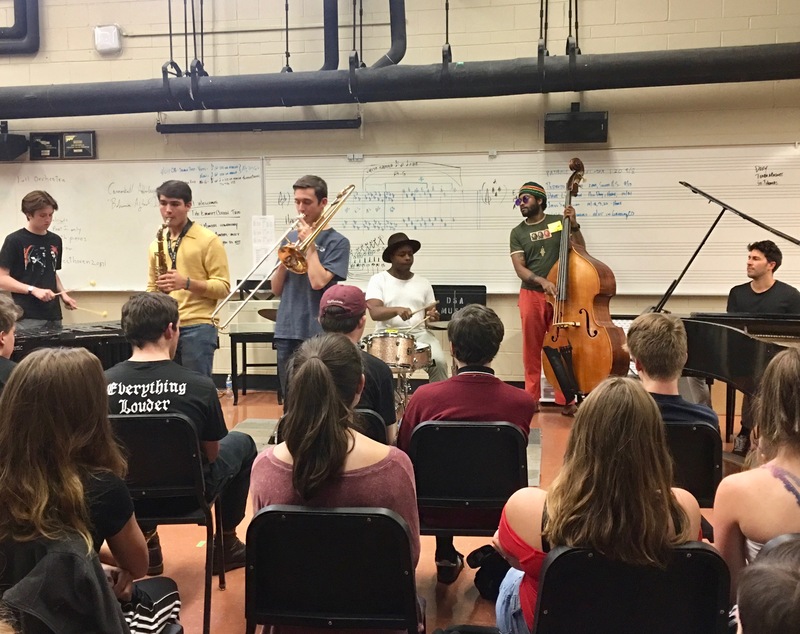 Osby plays with DSA jazz students. 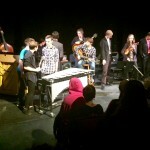 DSA jazz students jam on the last tune of the Symposium Combo night. 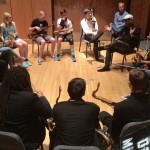 Symposium guest artist Greg Osby shares at the free saxophone clinic. Directors in a post concert pic. 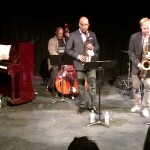 From left, Jamie Harrings, Grant Larson, Greg Harris, Greg Osby and Dave Hammond. 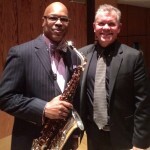 Dave Hammond with Symposium guest artist Greg Osby. 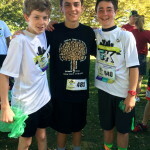 DSA Bands showed up for business on Saturday’s (9/19) 5K race to benefit the Colorado Symphony Orchestra. 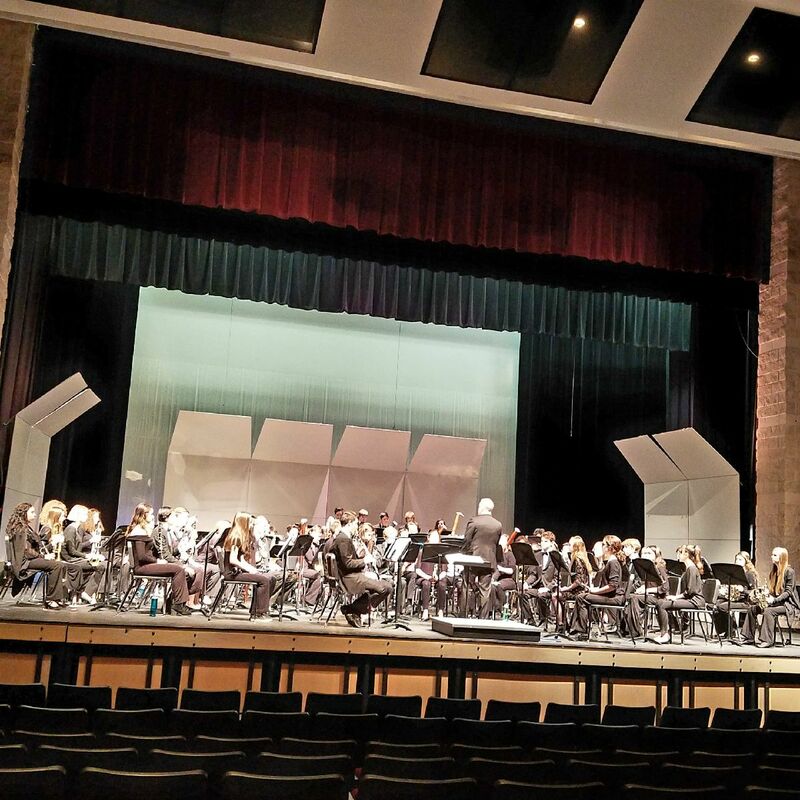 DSA Bands won the “Largest Group” award and Emily Hanson won the 3rd overall female winner in the race. Many DSA students came in top places in their age group but all had a great time at the event! Thanks to all that showed up! 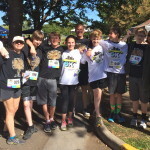 DSA Band students, parents and practicing artist Greg Harris pose after the race. 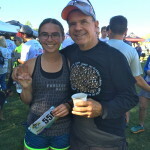 3rd fastest overall female, DSA Band student Emily Hanson with Bands Director Dave Hammond. 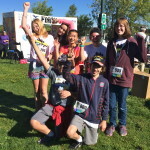 Band students pose at the finish line with student teacher Jamie Harrings. 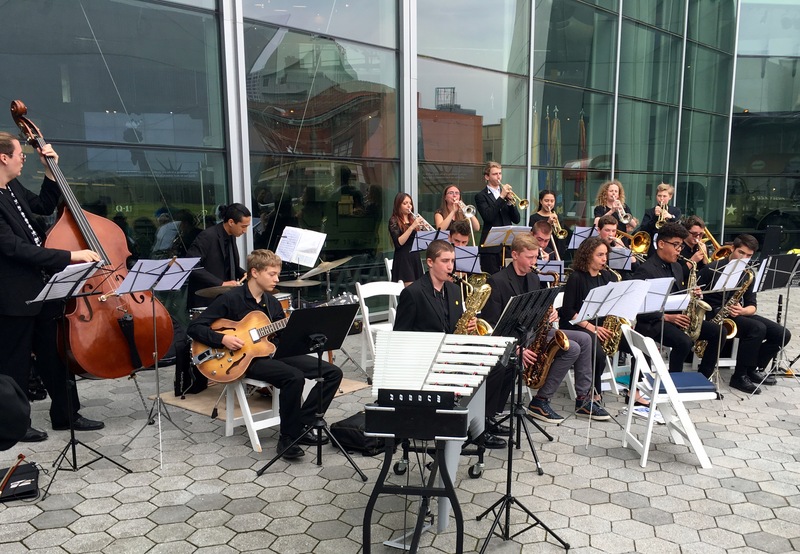 DSA BAND AND ORCHESTRA STUDENTS ON NATIONAL PUBLIC RADIO’S “FROM THE TOP” CLARINETIST SCOTT CHIU FEATURED! 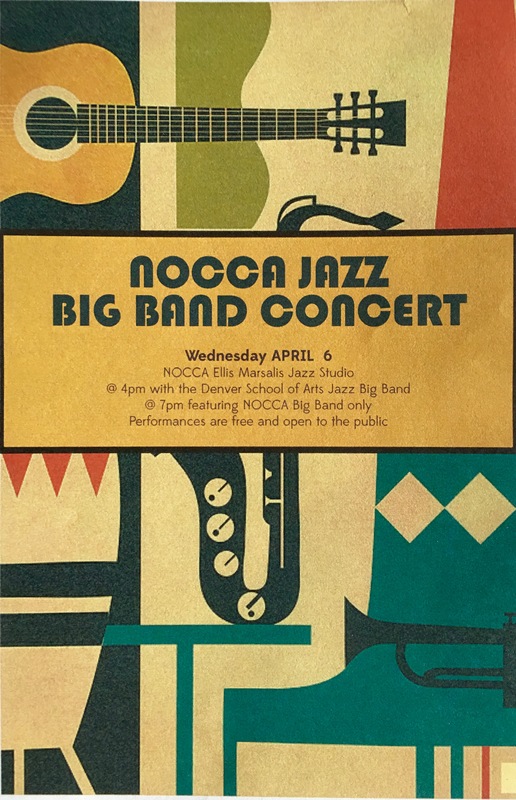 Friday, 4/26: STRIPE DAY, JWO1 to UNC Jazz Festival - Perform 1-1:30 (warm up at 12:15pm), Campus Commons Concert Hall 1501 22nd St., Greeley CO. (leave by 9:30am). 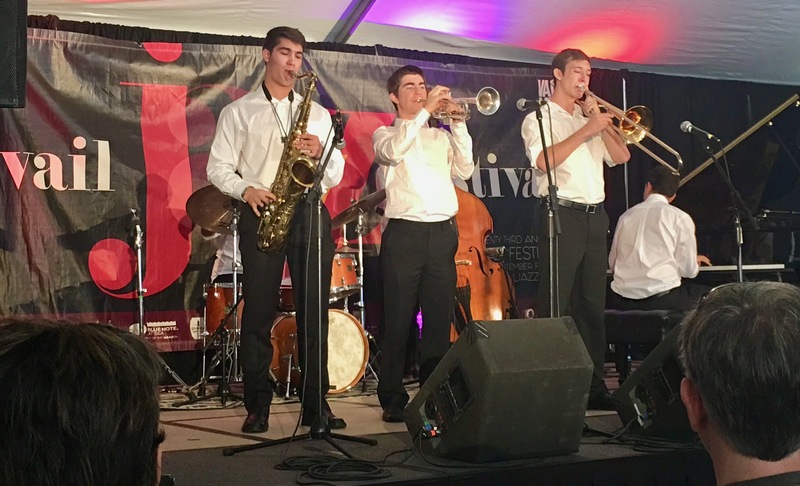 Saturday, JWO2 to UNC Jazz Festival - Perform 3:30 (warm up at 2:45pm), Campus Commons Concert Hall 1501 22nd St., Greeley CO. (leave by 12:30am). 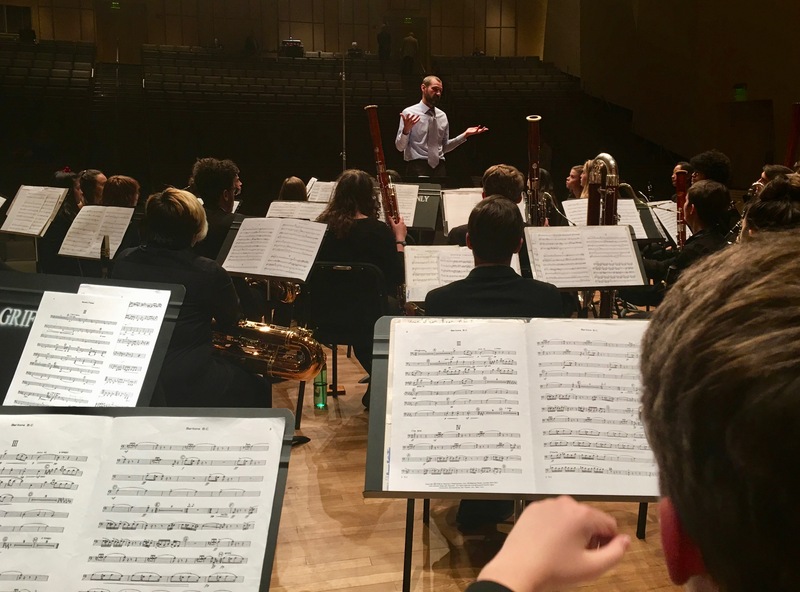 Check out the articles on Why Study Music on the "“Any Given Monday” Bands Artists and Why Study Music?" tab!